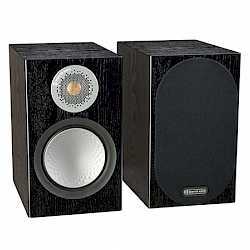 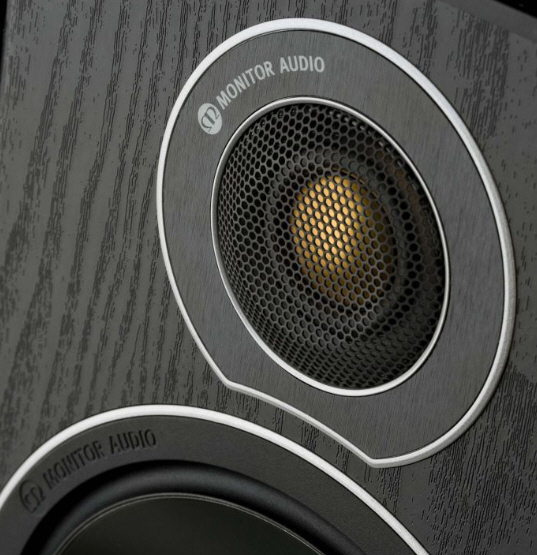 The brand that delivers excellence in driver, cabinet, electronic and acoustic design is Monitor Audio. 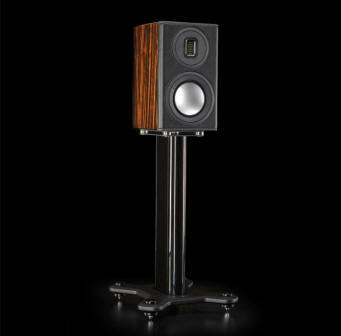 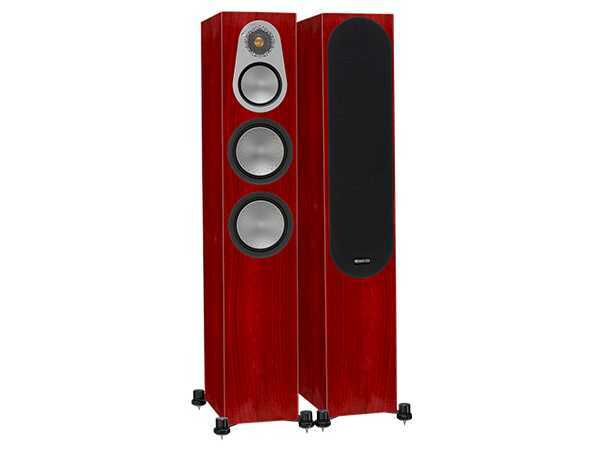 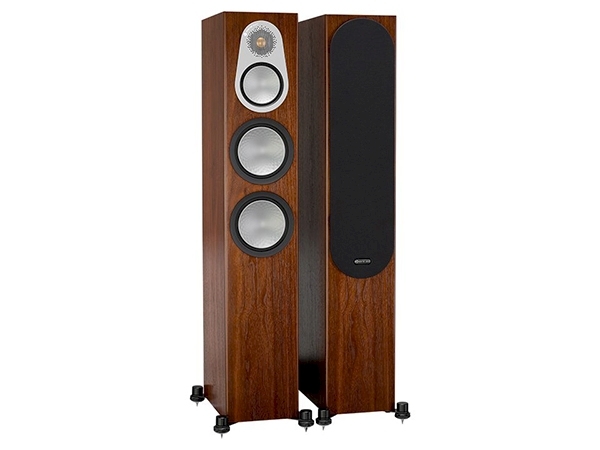 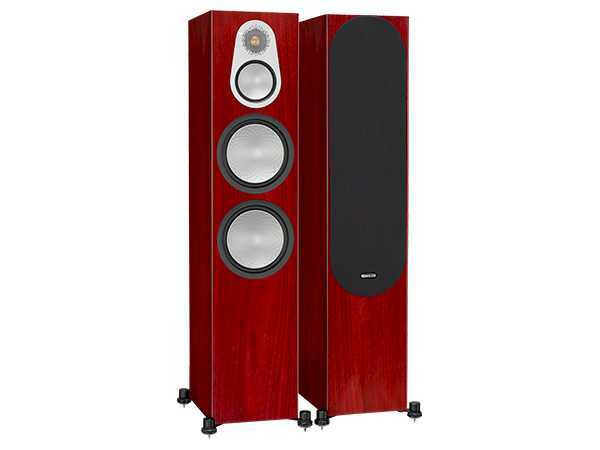 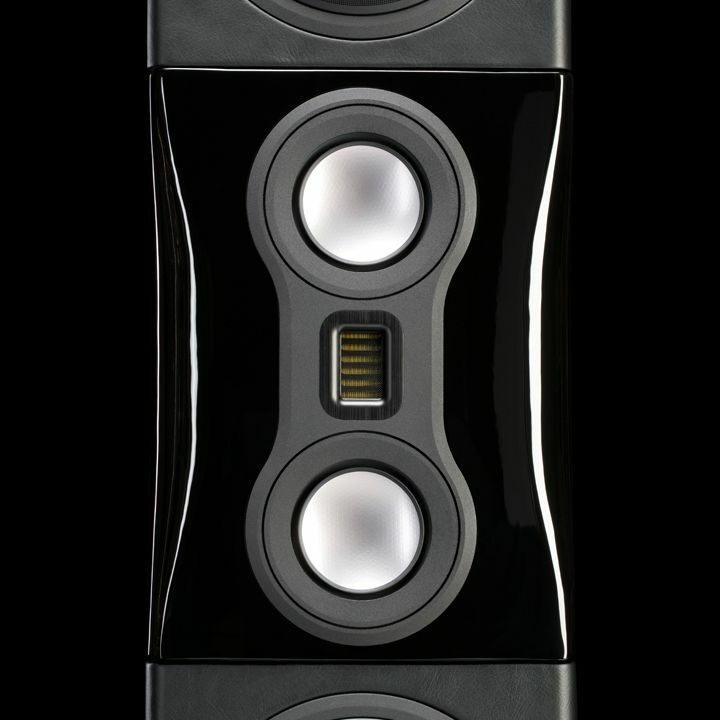 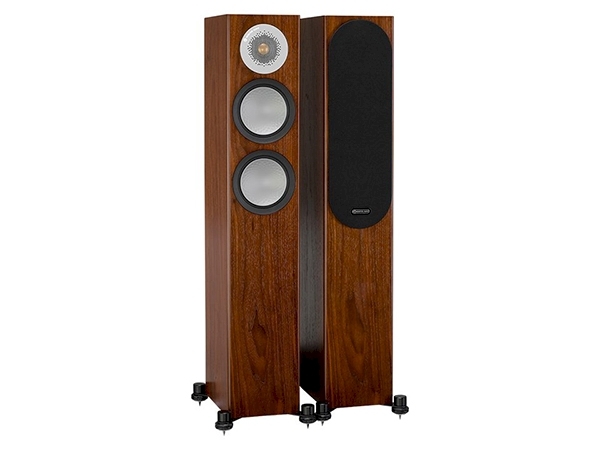 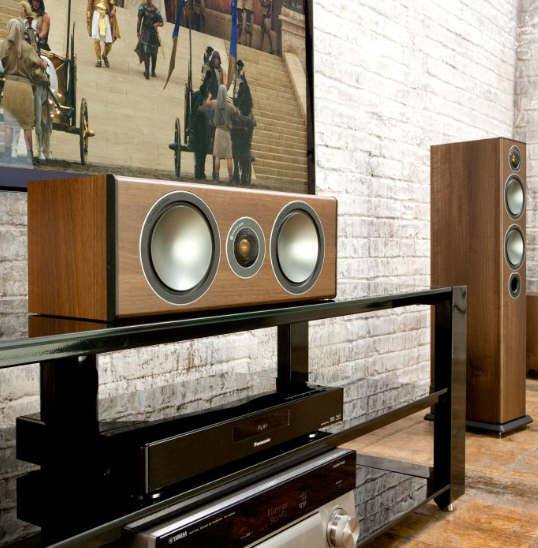 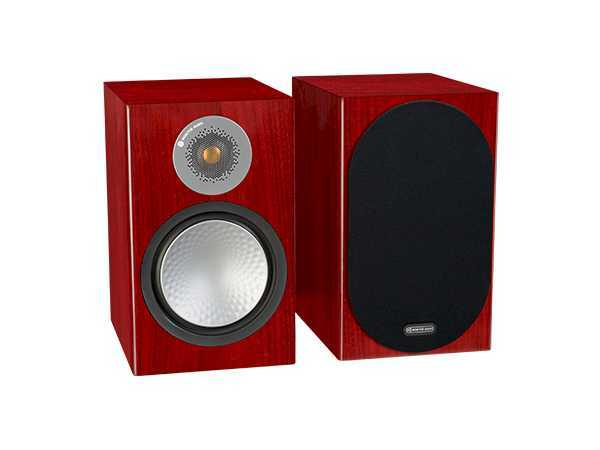 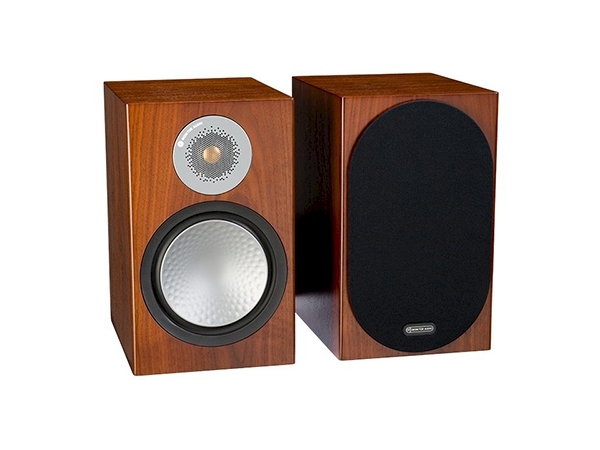 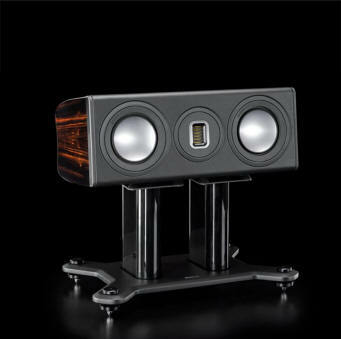 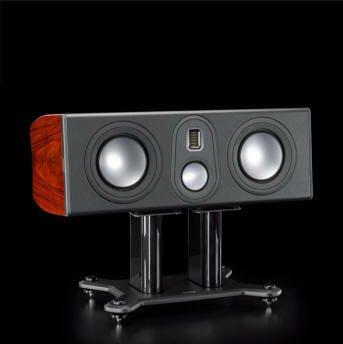 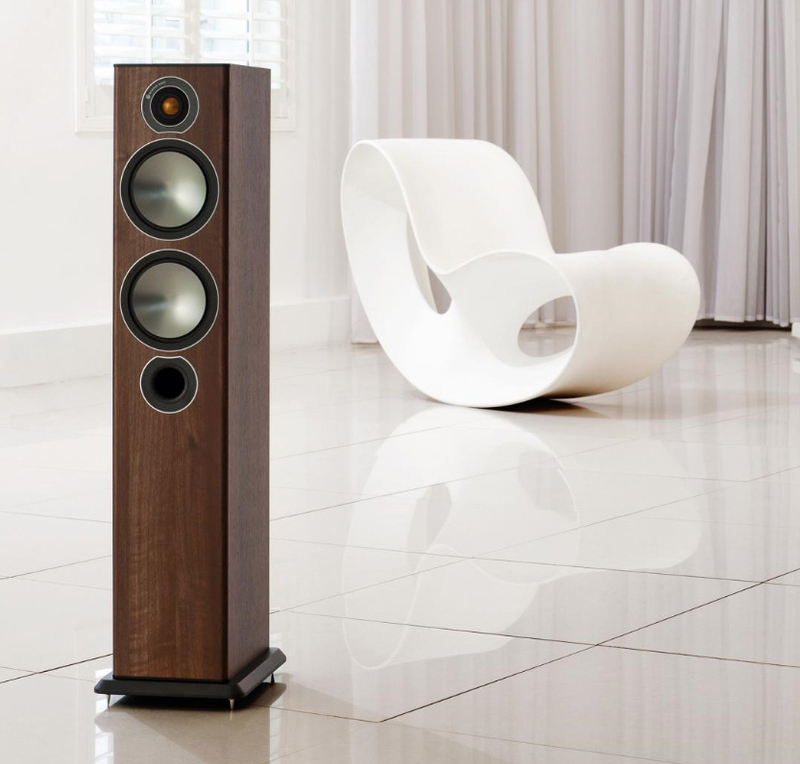 Since 1972, Monitor Audio’s near fanatical commitment to quality in every aspect of loudspeaker design coupled with its willingness to innovate has inspired global recognition and acclaim. 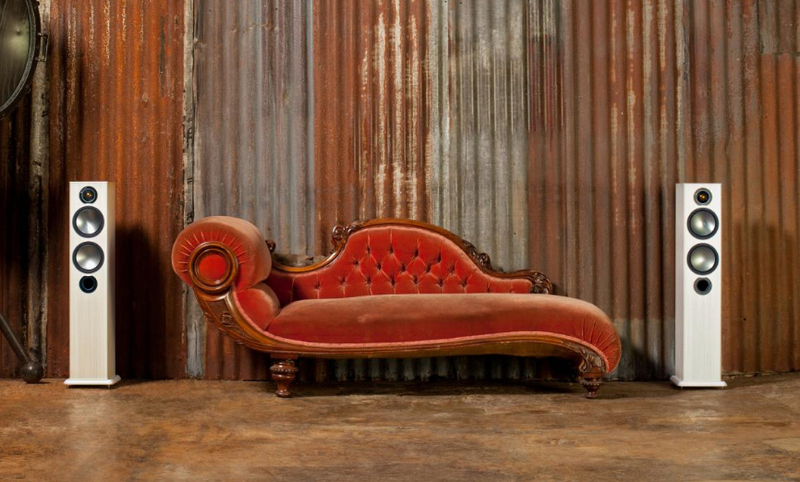 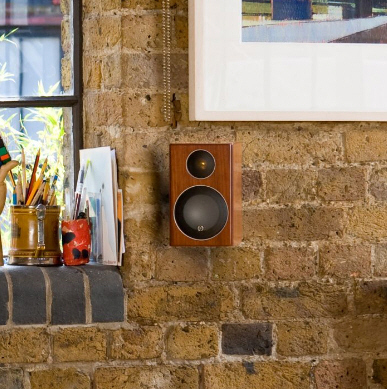 Daring to challenge design orthodoxy has been its signature approach. 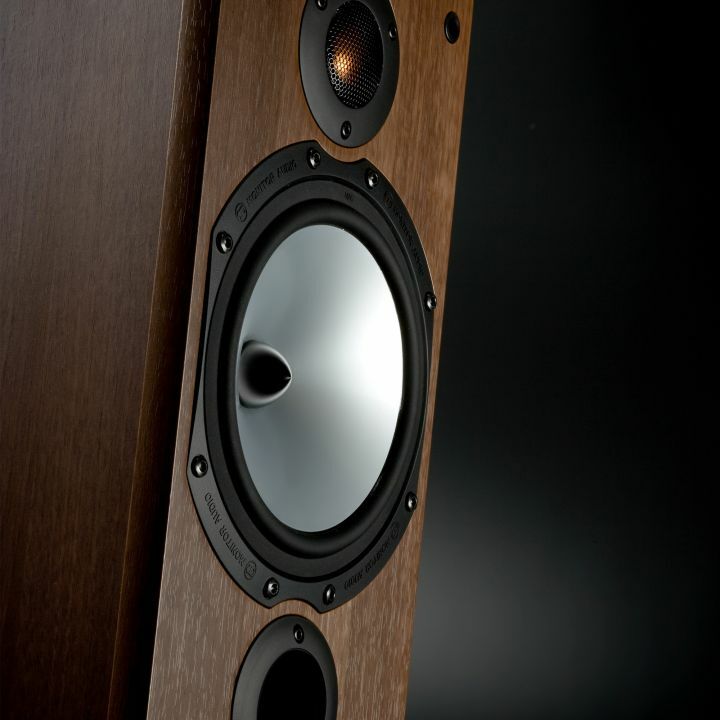 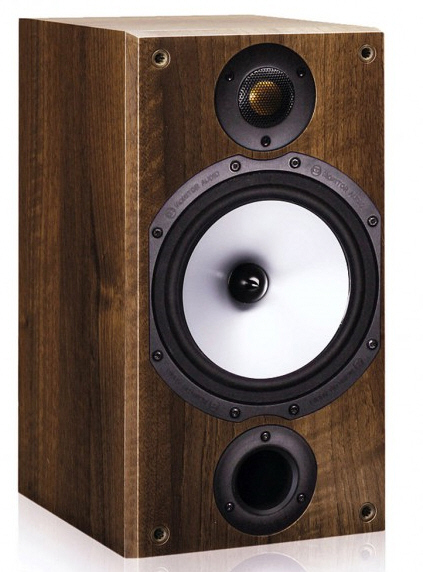 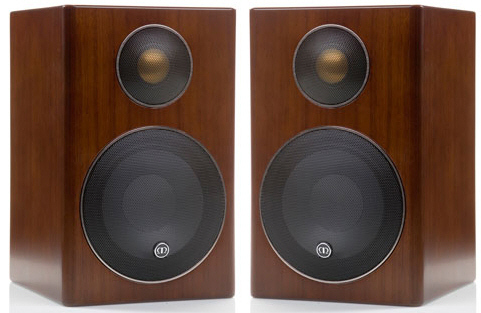 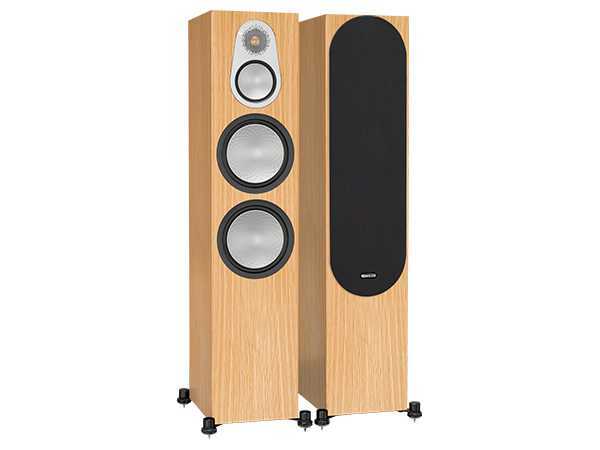 When Monitor Audio launched its R852MD loudspeaker – the first model to incorporate a metal dome tweeter - it caused quite a stir. 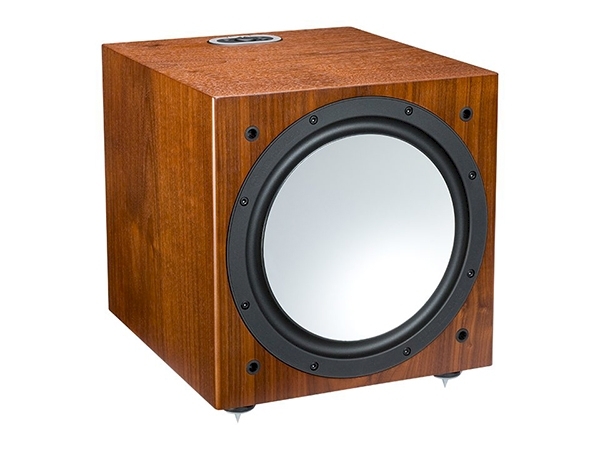 Until that time, most metal domes were single-metal types made from copper or titanium and virtually all sounded unconvincing. 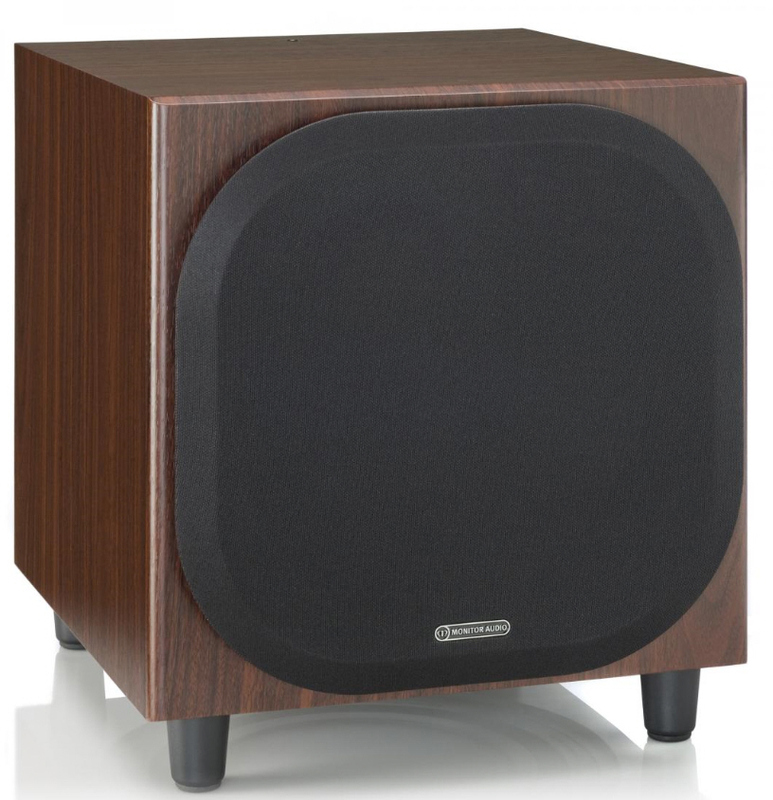 The R852 used an aluminium-magnesium alloy dome and sounded significantly better and smoother than all of its single-metal rivals. 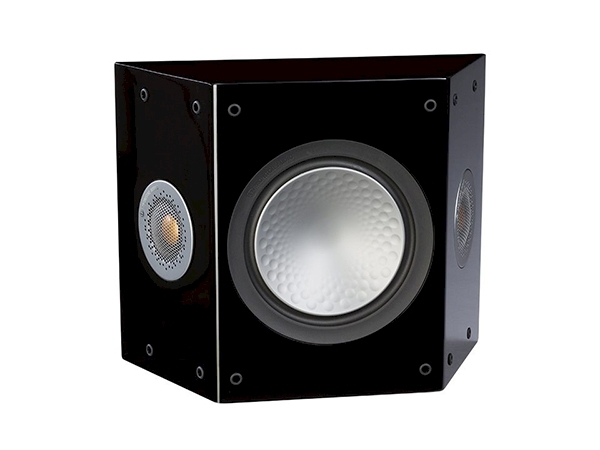 It also incorporated ferro-fluid damping/cooling of the metal voice-coil former and a vented voice coil mechanism for better heat dissipation. 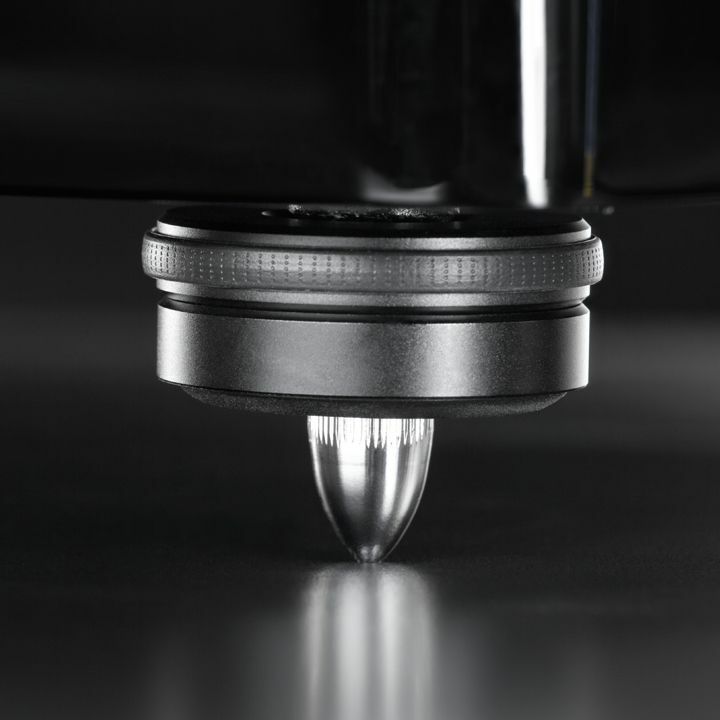 These radical design elements formed the basis for successive generations of C-CAM® metal domes. 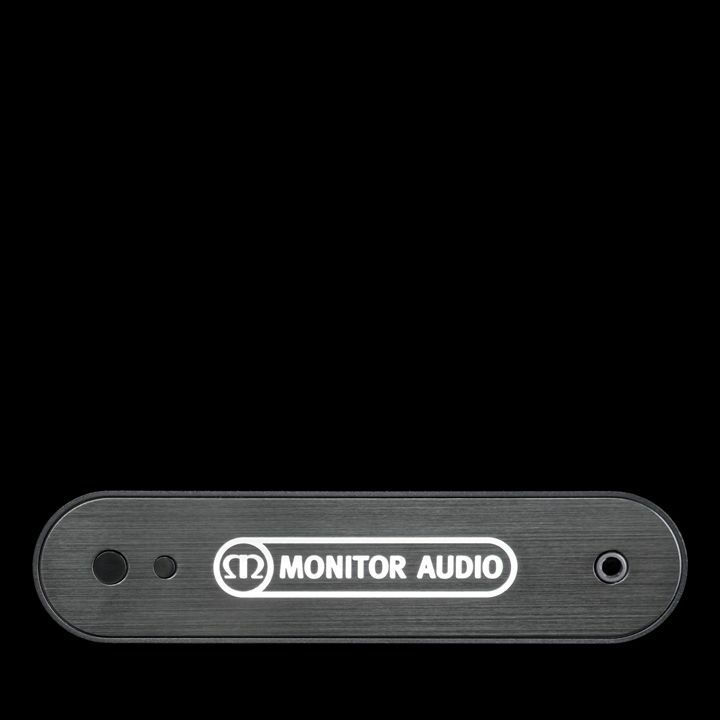 By consistently refining and applying the technology, Monitor Audio has become the world’s foremost proponent of metal dome drivers. 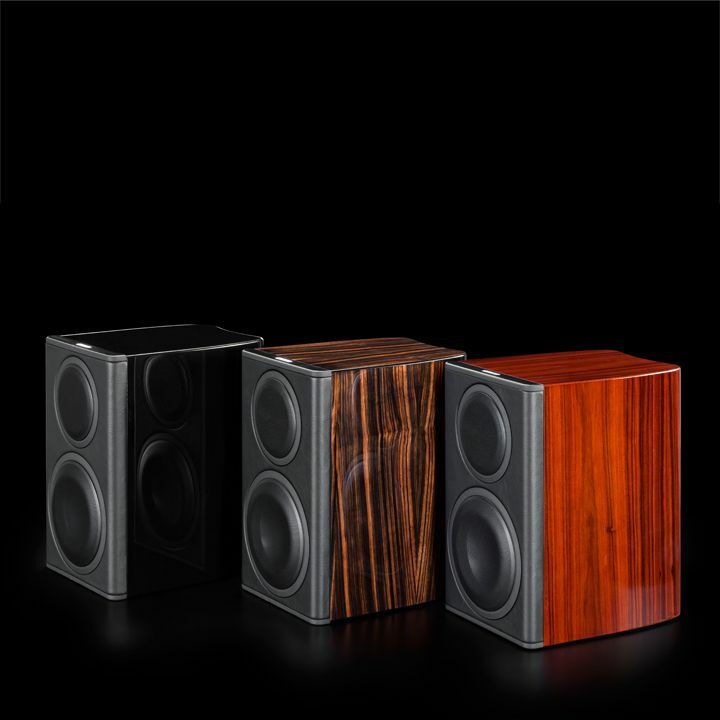 Monitor Audio designs and builds its own cabinets and crossovers as well, so that it can optimise the incomparable blend of virtues that makes Monitor Audio loudspeakers unique: clean, dynamic sound, superior build quality and innovative design. 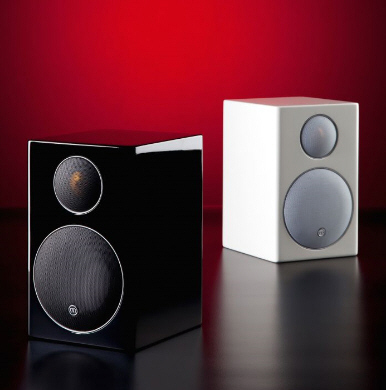 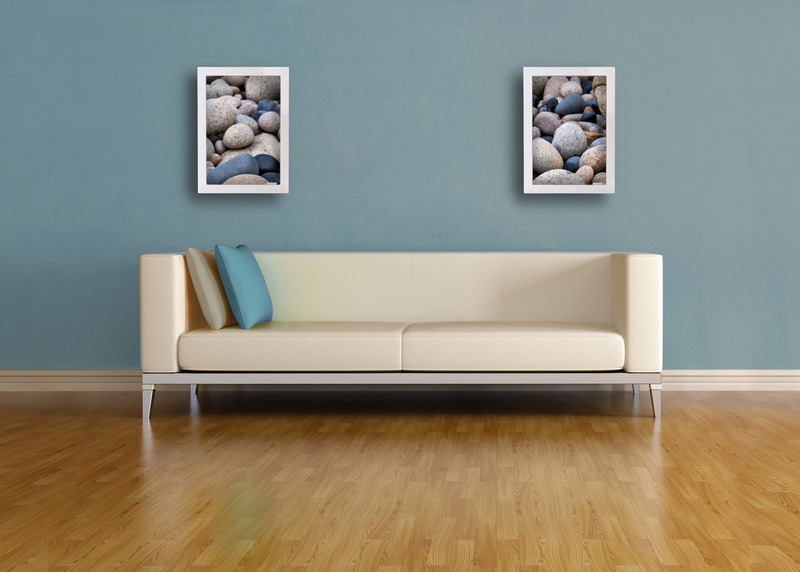 And because they share a philosophy of excellence and a consistency of quality and voicing, loudspeakers of different types: on-wall, in-wall, floor and stand-mounting, may be used together to create the perfect blend of colour and shape for any room. 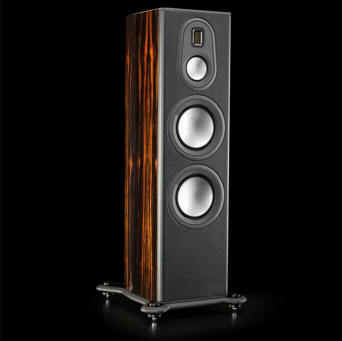 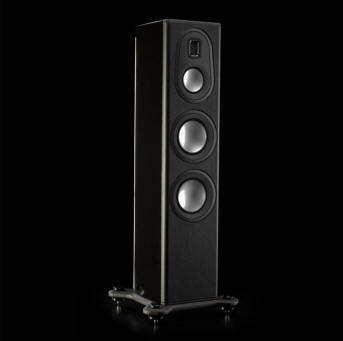 In the strength and depth of Monitor Audio’s evolving product portfolio, the ideal of a universal whole-house loudspeaker brand finds true expression. 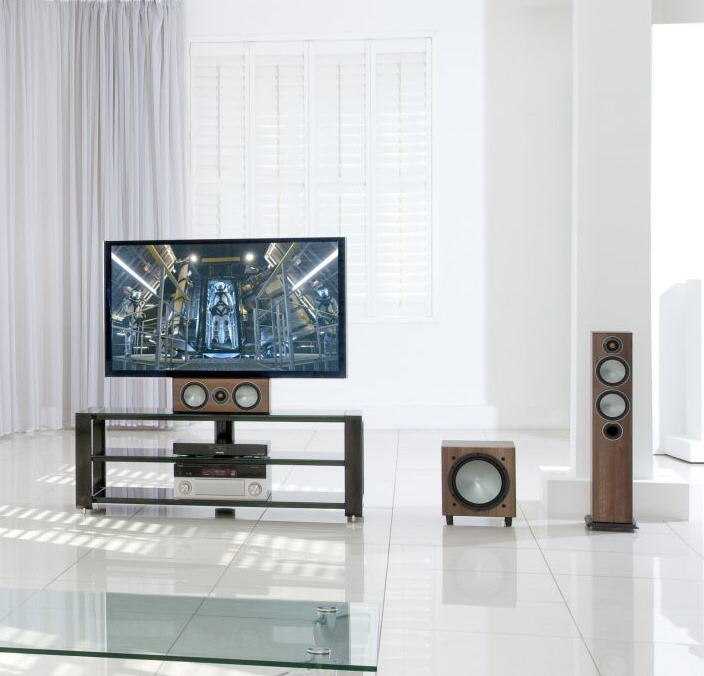 Decades of accumulated expertise and knowledge have refined the rare mix of innovation, reliability and sheer performance that has propelled the brand to global status and on which aficionados of music and movie sound have come to rely. 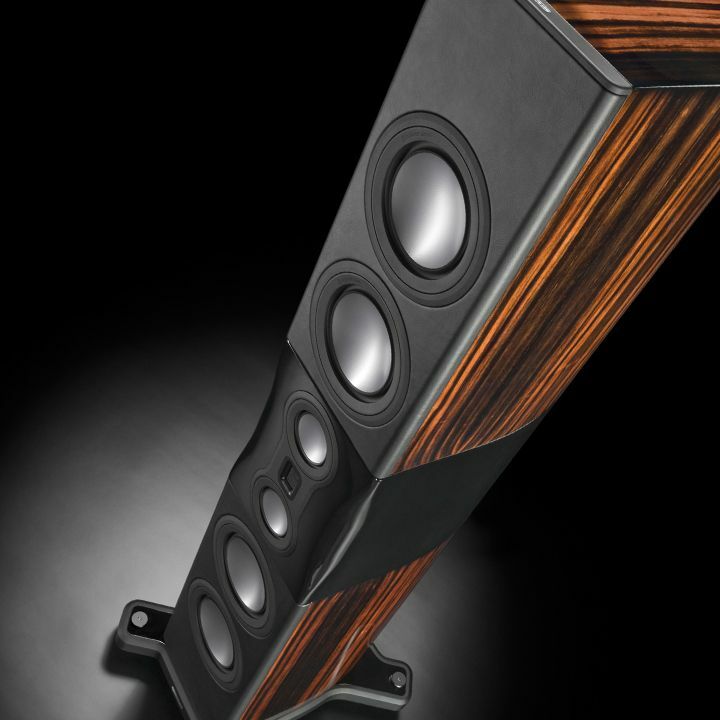 •All new C-CAM® (Ceramic-Coated Aluminium/Magnesium) driver configurations •A new 25mm C-CAM Gold Dome tweeter extends each system’s frequency response to an ultra-sonic 30kHz •New magnetically-fixed ‘floating’ cloth grilles •Steel-grey C-CAM driver cones •Black Oak, Pearlescent Walnut, Rosemah and a new White Ash finish Purity and precision, our most democratically priced speaker line has everything to gain from Monitor Audio’s dynamic forty-year design heritage. 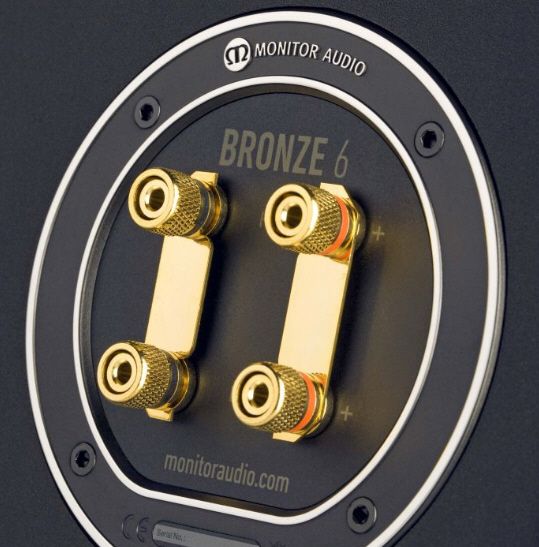 Enriched as it is with elements of Platinum, Gold and Silver, the brilliant new Bronze series will transcend the expectations of its price class and eclipse even its venerated multi-award winning predecessor Bronze BX. 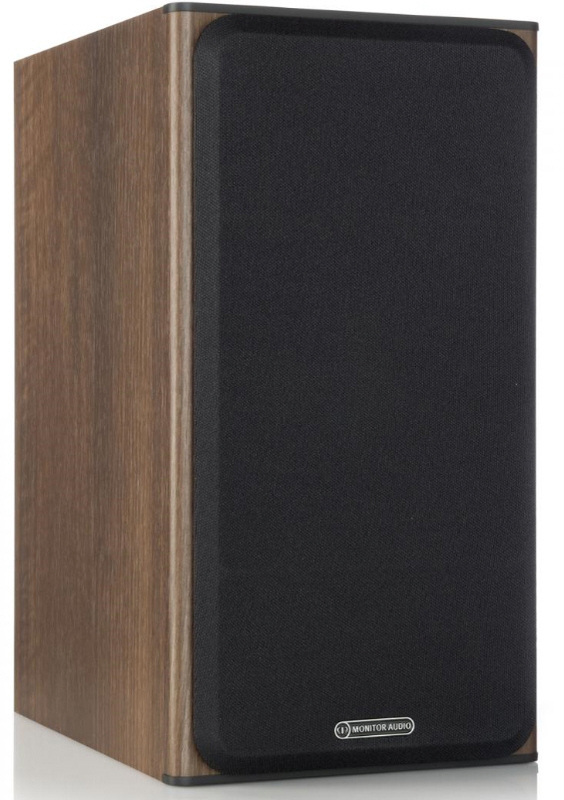 Our latest entry-level champion moves up a gear from BX and rival budget speakers because new Bronze is simply in a class of its own. 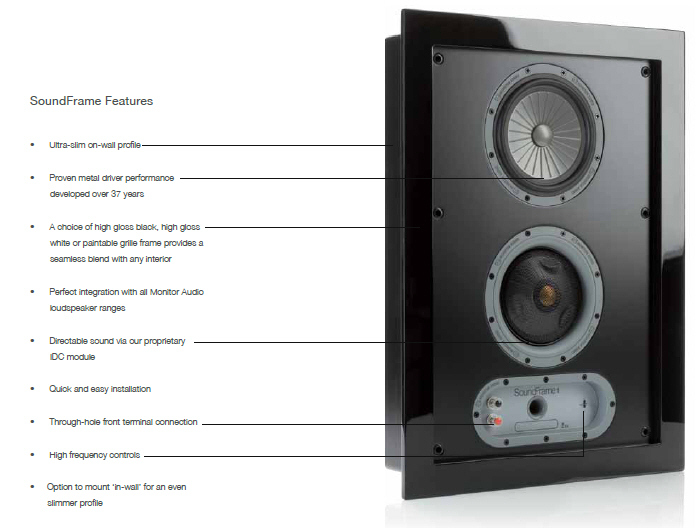 The features speak for themselves. 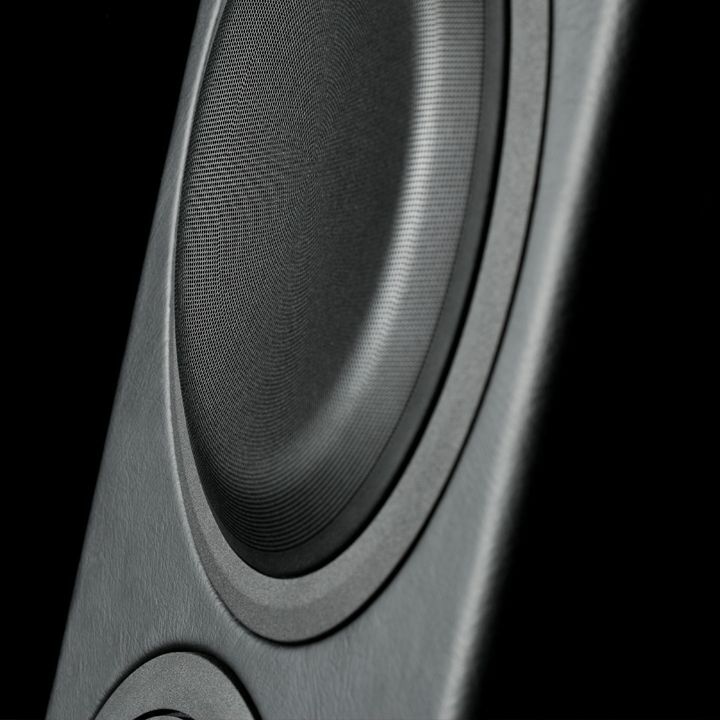 For the first time we're using spectacular steel-grey C-CAM driver cones for a seamless blend with finishes, available in a choice of Black Oak, Pearlescent Walnut, Rosemah and a new White Ash. 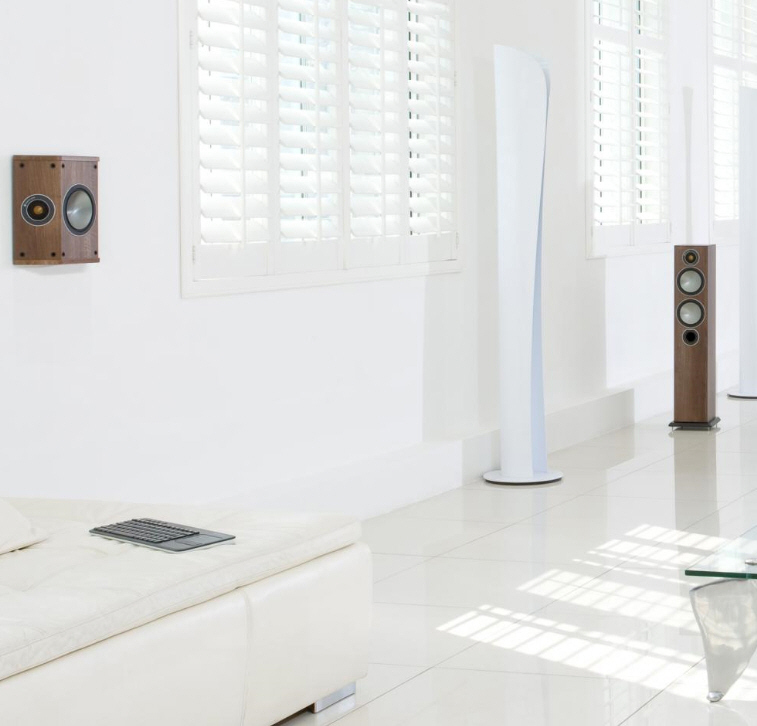 Invisible driver fixings and floating magnetic grilles add to the impression of streamlined sophistication, lending new Bronze the look and feel of a premium range. 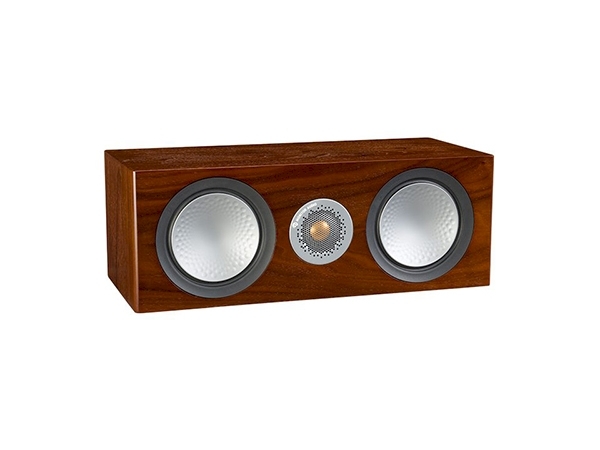 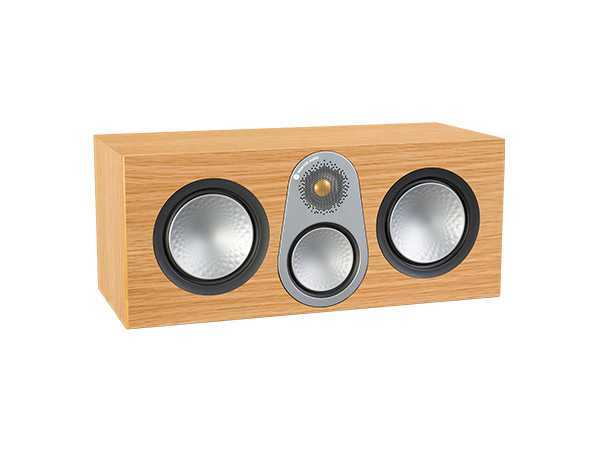 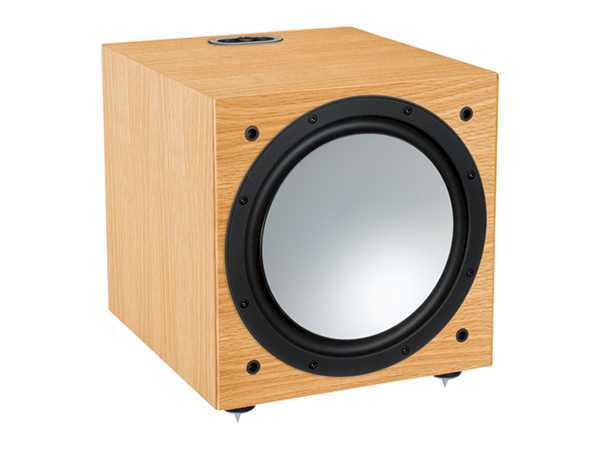 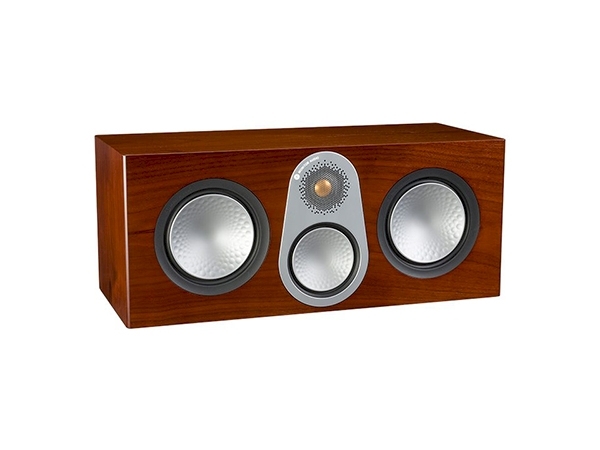 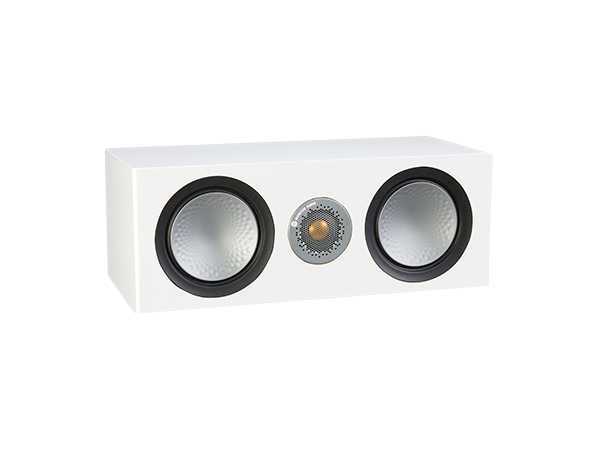 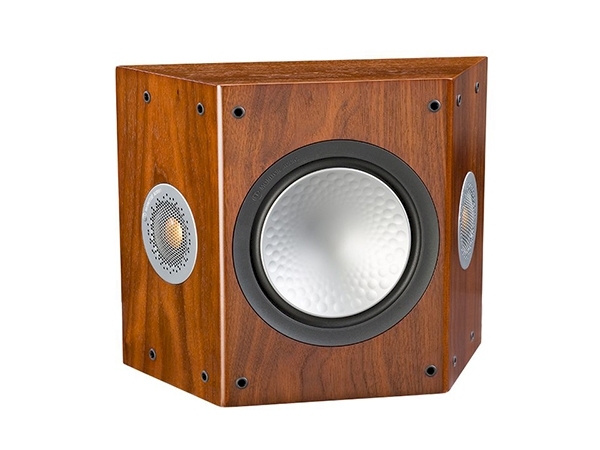 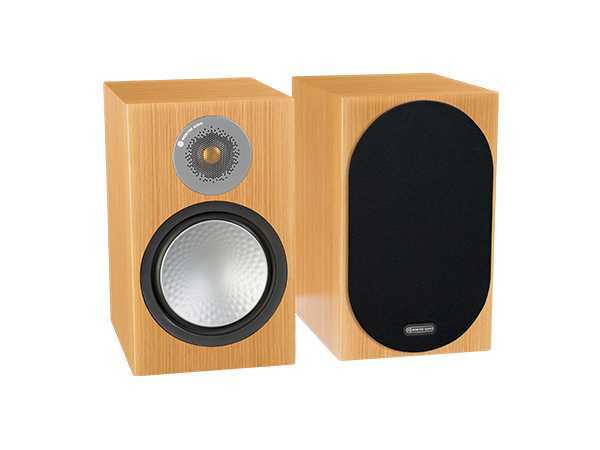 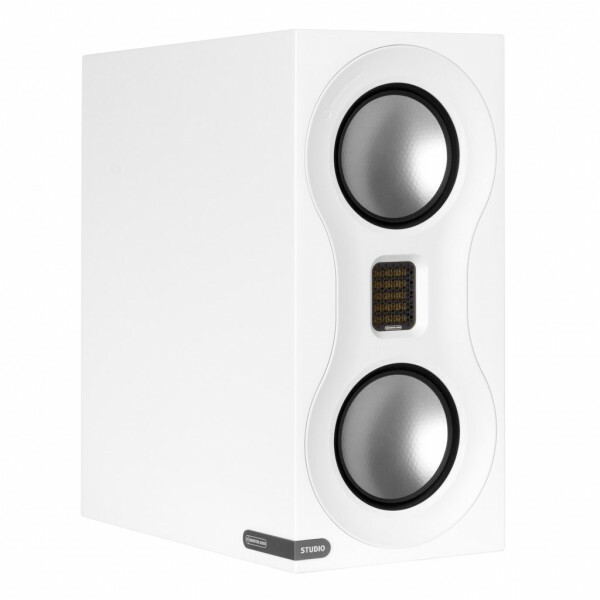 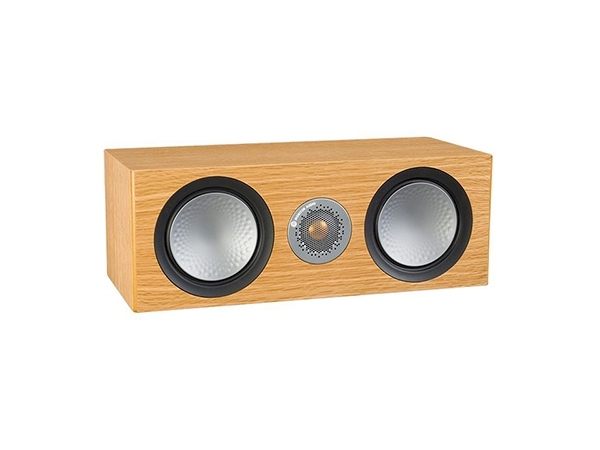 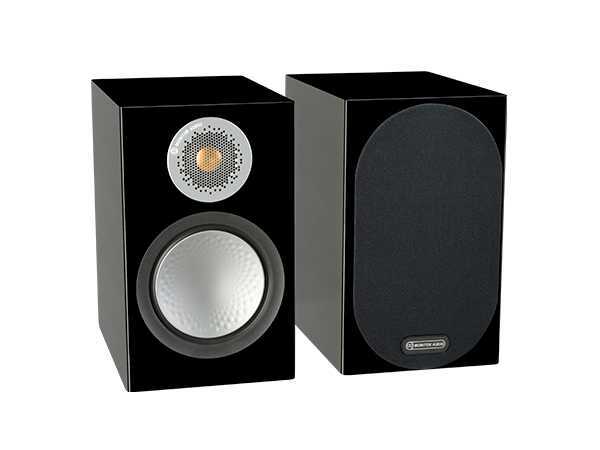 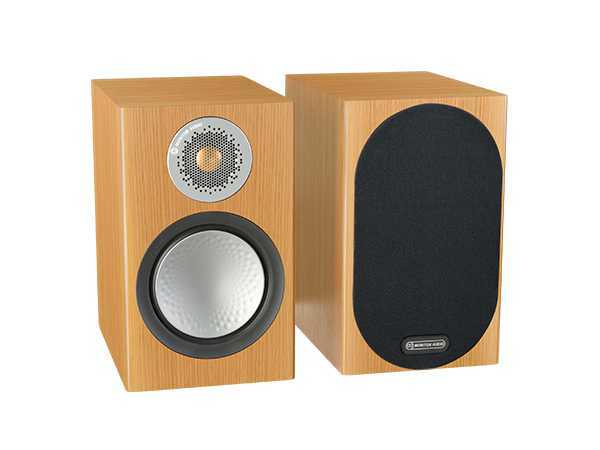 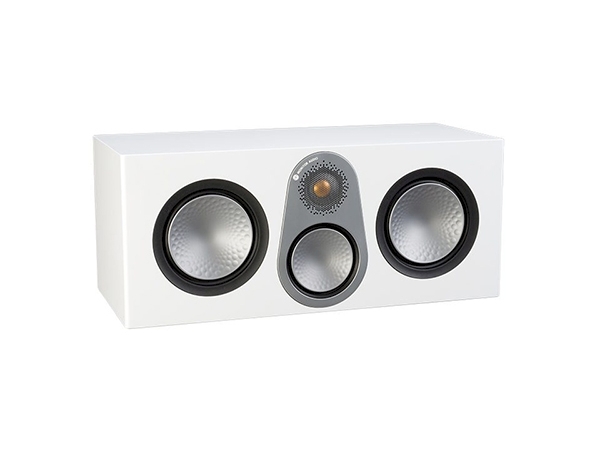 Mini diffusore da scaffale o parete - reflex posteriore - 1 midwoofer da 10 cm in C-CAM frontale - 1 Gold Dome tweeter da 2,5 mm in C-CAM - 80-35.000 Hz - 83 dB - 8 Ohms - 30-100 W RMS – SPL MASSIMO 102 DB - PREDISPOSIZIONE STAFFA TIPO ¼”x20TPI – DIMENSIONI 125 X 198 X 165 – PESO 2,1 KG - finitura nero, palissandro, ciliegio, bianco GLOSS OPTIONAL MONITOR-AUDIO MASM BRACKET OPZIONALE PER DIFFUSORI RADIUS NEW - 90 +35,00 euro- oPTIONAL STAND PAVIMENTO 130,00 euro cad. 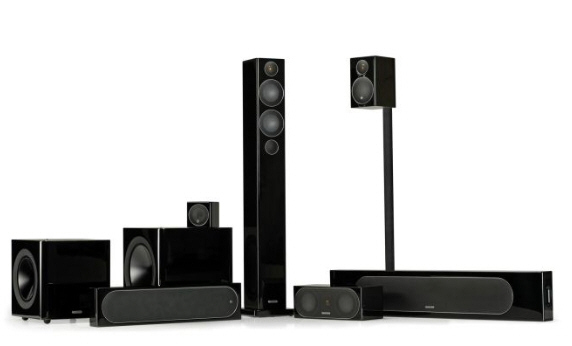 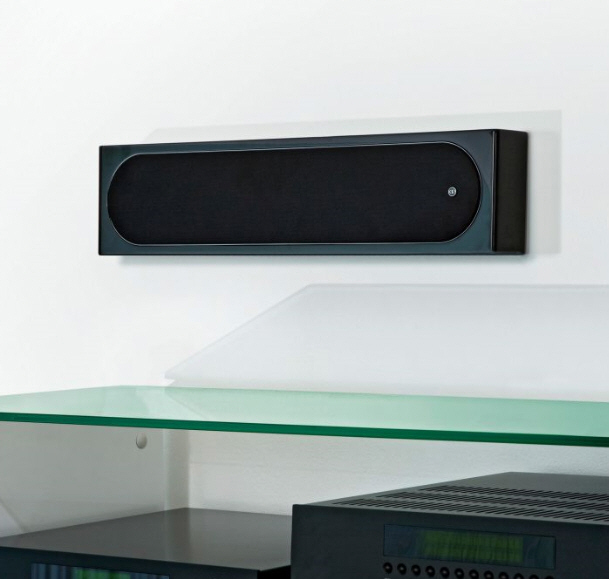 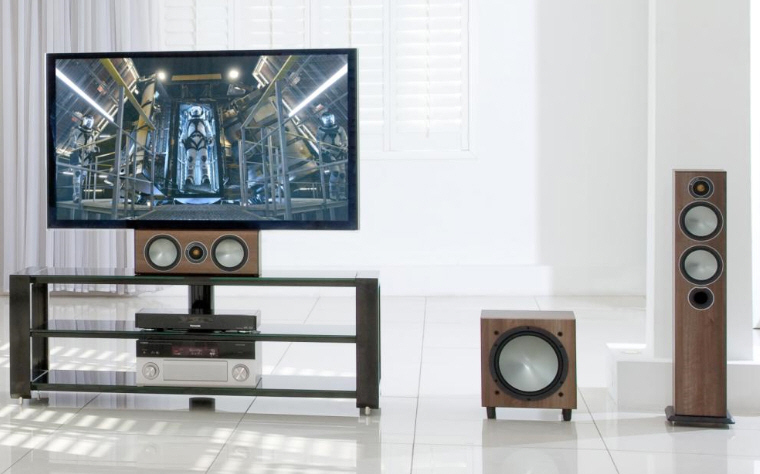 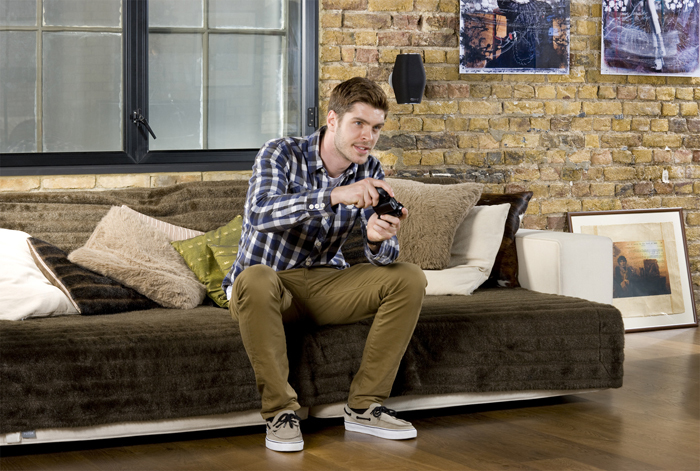 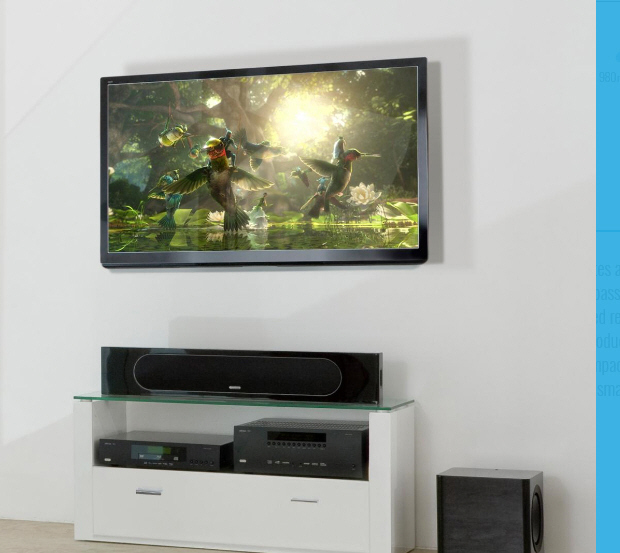 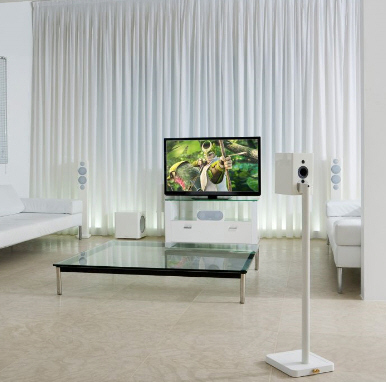 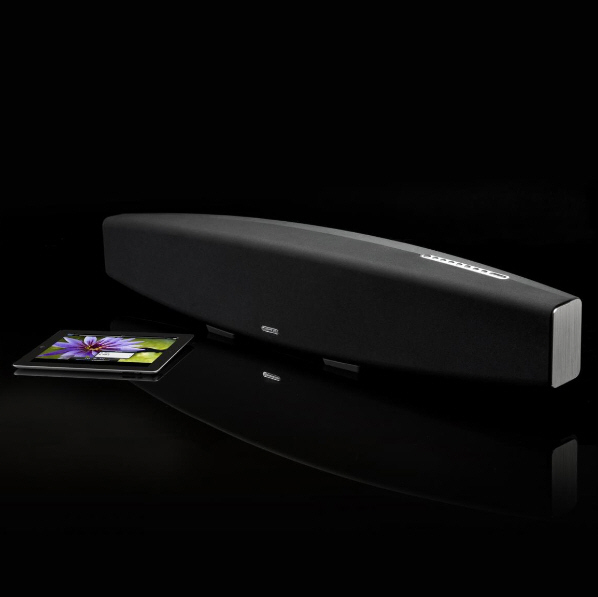 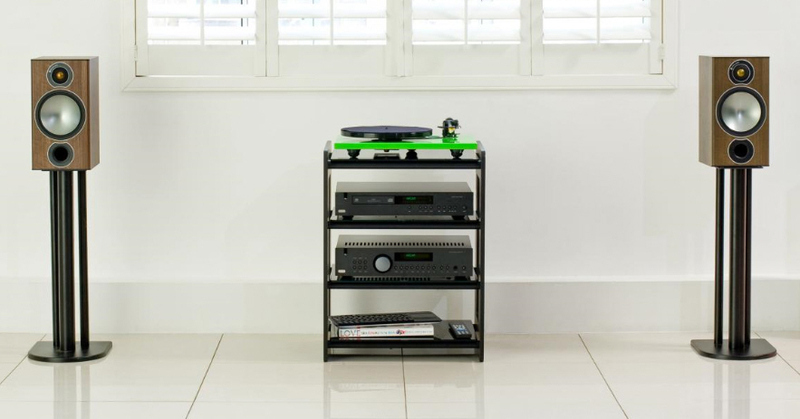 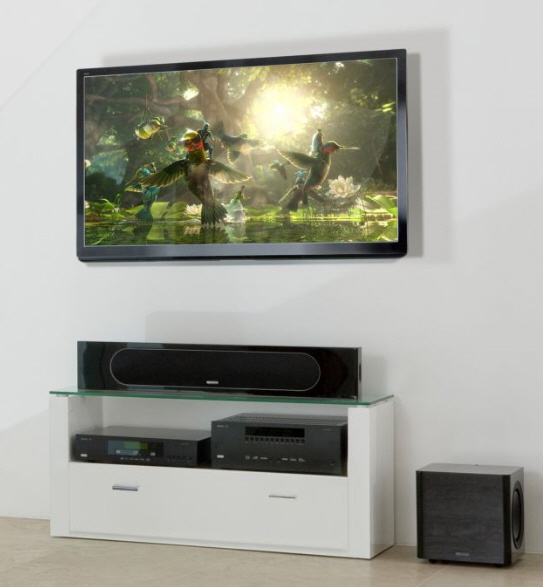 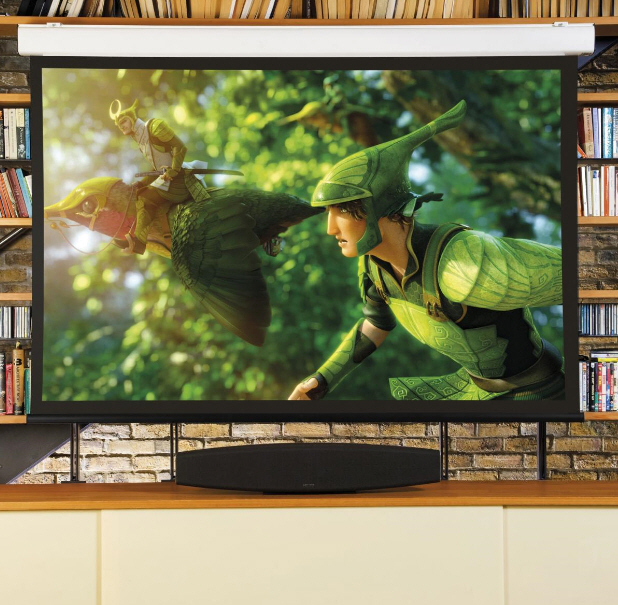 Designed for rack or shelf mounting in a dedicated home theatre system. 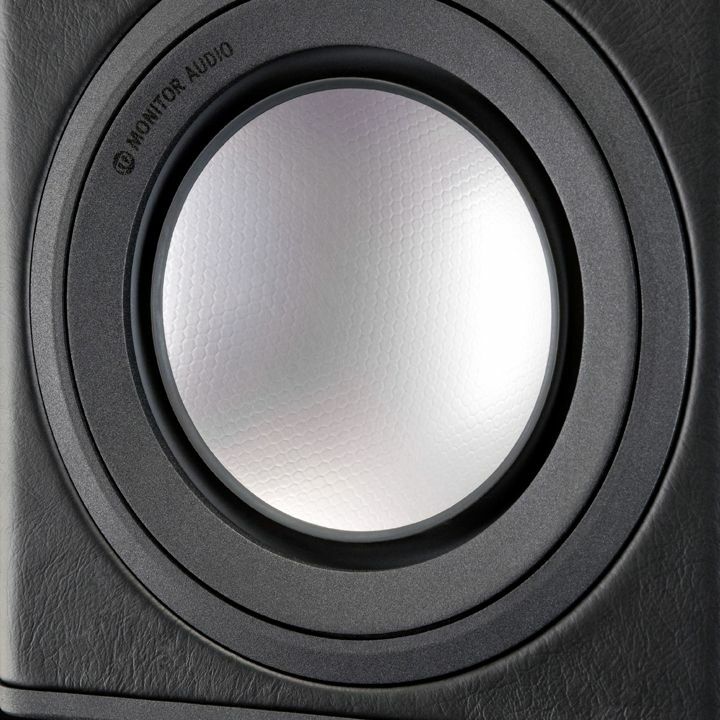 Placed front and centre in a serious AV system, twin 4” C-CAM® mid/bass drivers astride a 1” C-CAM tweeter result in the compact Radius 200 anchoring the entire sound field with life-like fidelity.•Ultra compact dedicated centre speaker •New Dual C-CAM® bass drivers with C-CAM tweeter in MTM style configuration - Radius features all new bass drivers with concave cone profiles, introduced by our top-of-the-range Platinum speakers and applied subsequently to Gold GX. 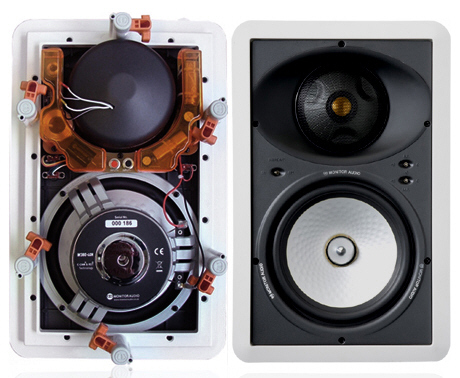 Extensive research and FEA modelling have allowed us to perfect the relationship between the new radiating diaphragm and its motor design, introducing larger motor sizes and voice coils for increased excursion, higher power capability and reduced distortion. 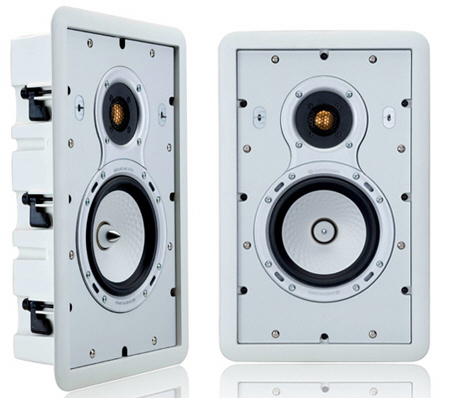 •New C-CAM gold dome tweeter - optimised to deliver the finest and widest performance within the compact Radius cabinets. 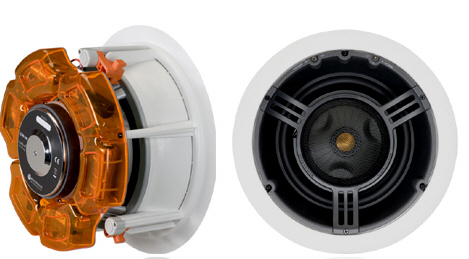 It benefits from a more efficient rear-venting design, releasing air trapped and compressed at the back of the tweeter dome, and guiding it around the drive assembly to a rear-loading chamber. 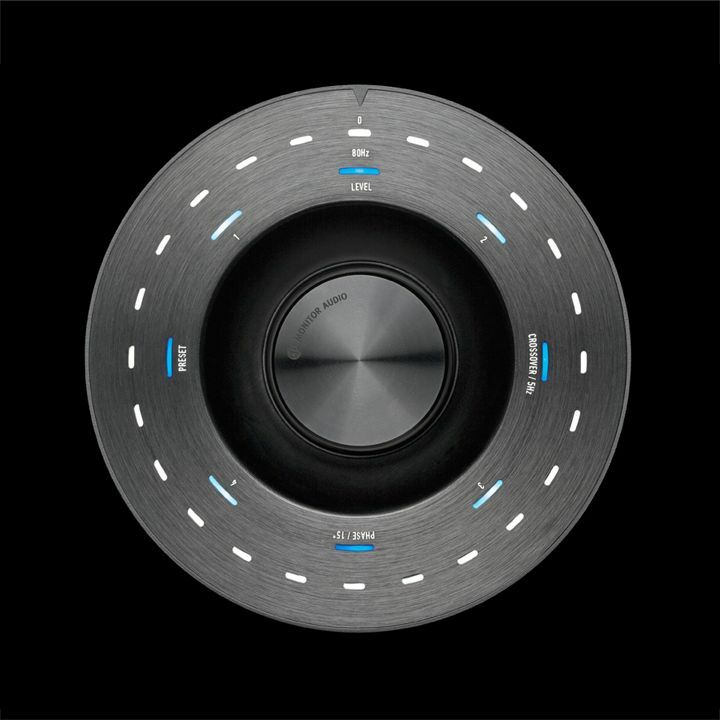 •HiVe®II port design - Straight from Platinum’s design blueprint, the HiVe reflex port makes its Radius debut. 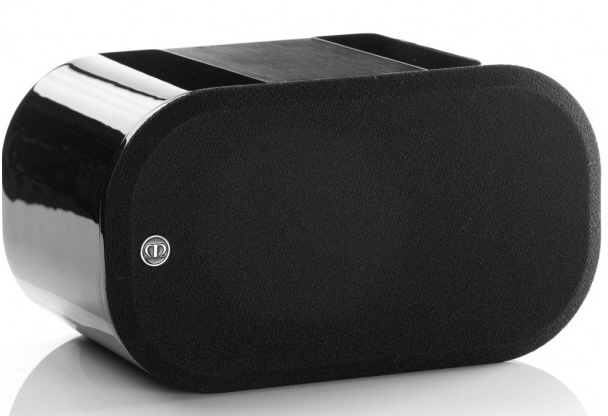 It’s shaped to have the same effect on airflow as a gun-barrel on a bullet. 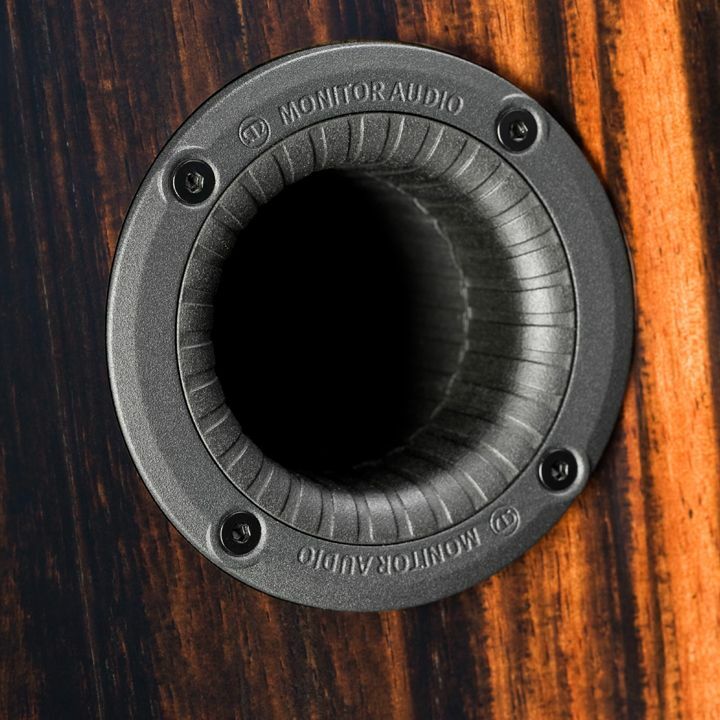 Rifled grooves inside the port help to accelerate the flow and reduce turbulence, so air moves in and out of the port more efficiently, for a faster more dynamic bass response. •Single through-bolt driver fixing provides mechanical de-coupling and enhanced mid-band clarity and resolution. 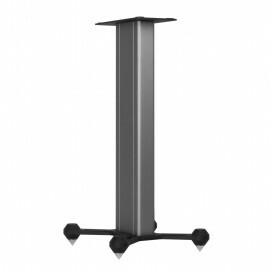 The through-bolts also act as rigid cross bracing to give a very solid non-resonant cabinet. 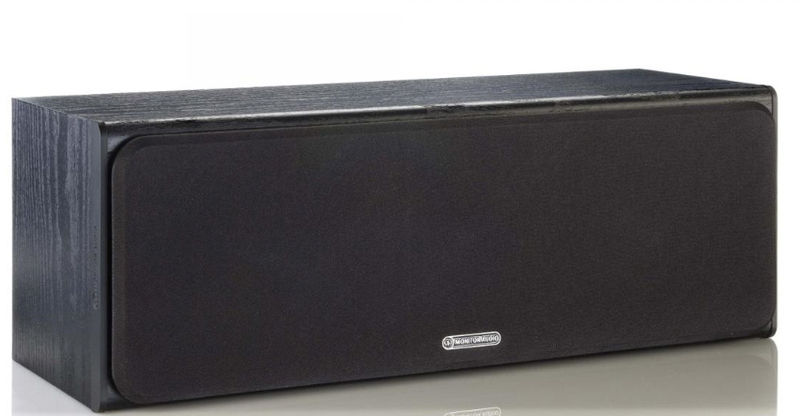 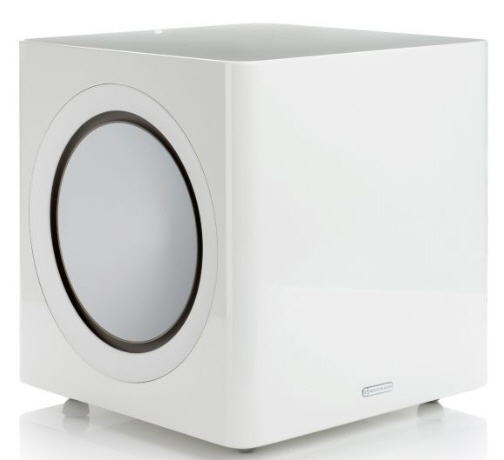 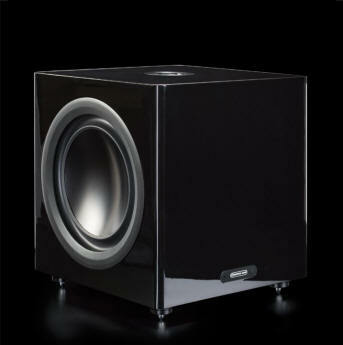 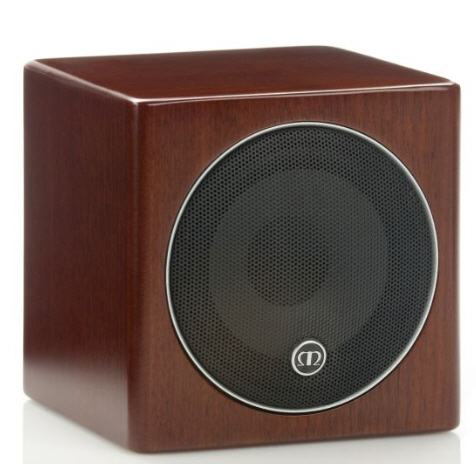 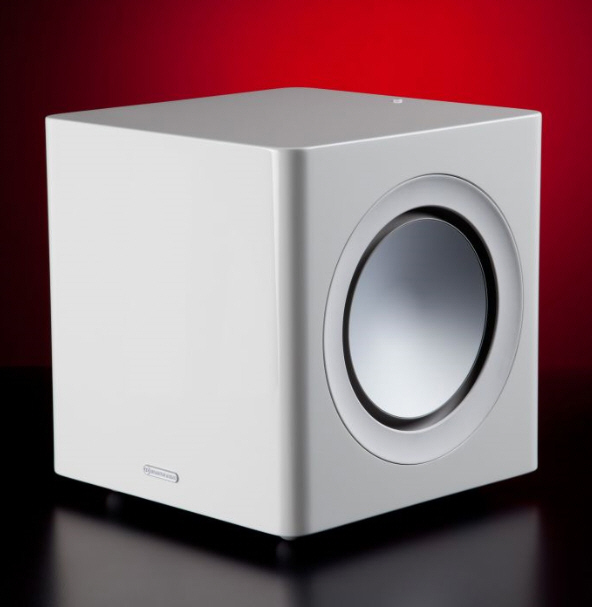 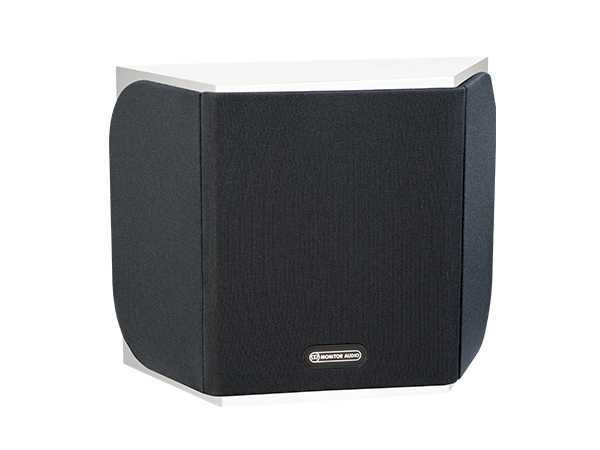 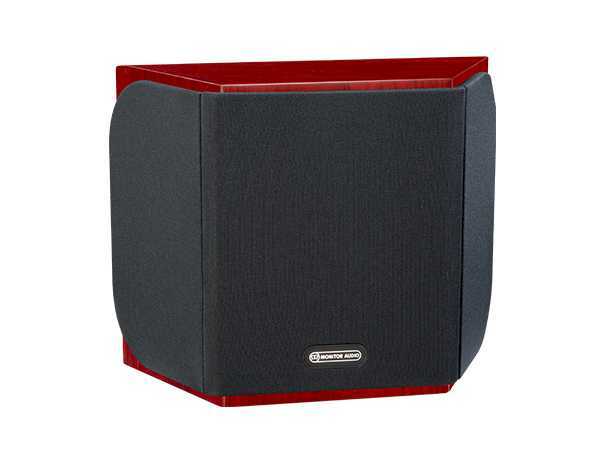 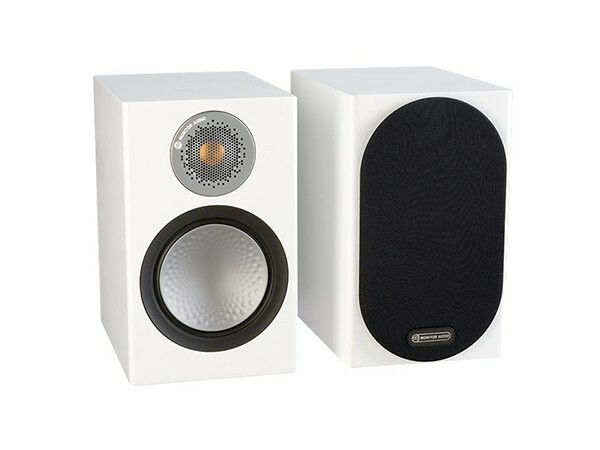 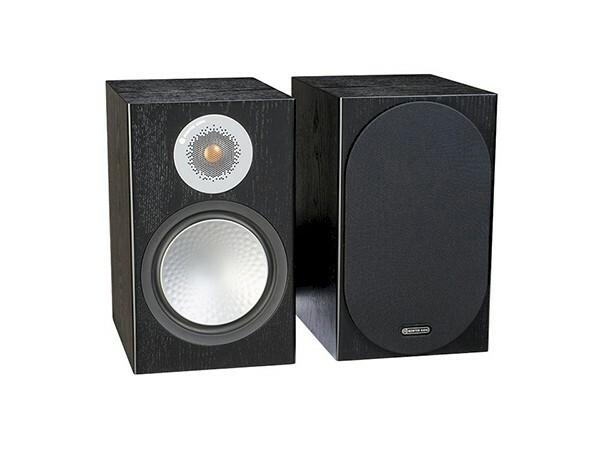 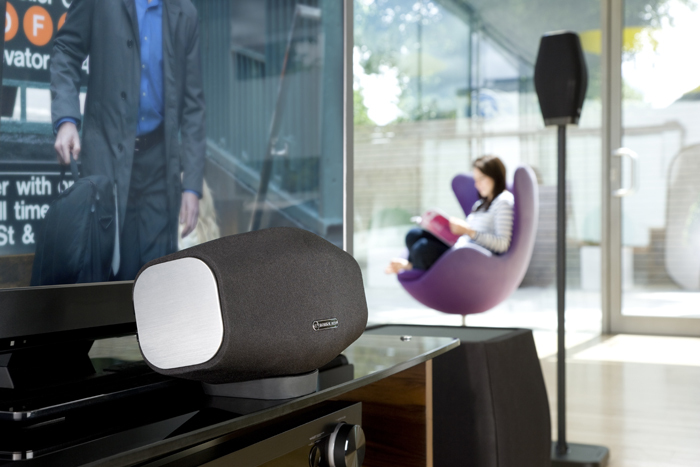 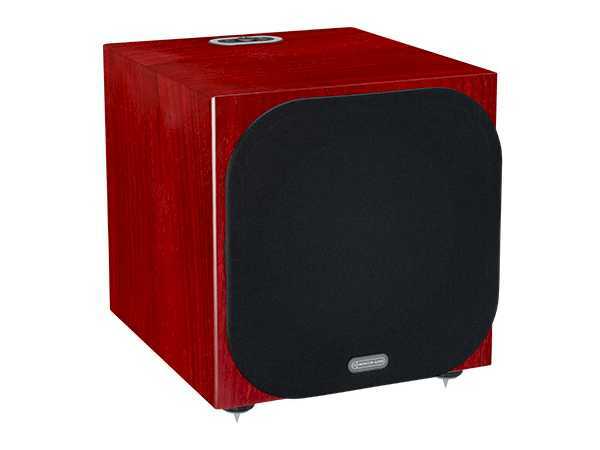 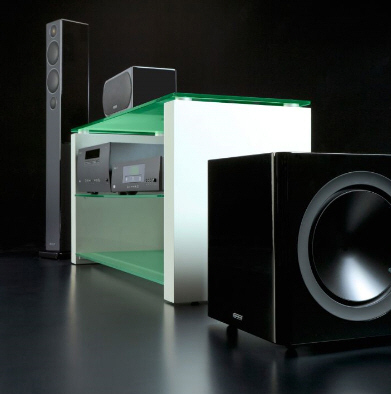 This super-compact active subwoofer has the speed, subtlety and pitch accuracy to enhance the highest quality music reproduction but it can also deliver the power and slam demanded by movie soundtracks by virtue of its ported, downward-firing 205mm (8’’) driver, controlled by a powerful built-in 100 watt Class A-B amplifier. 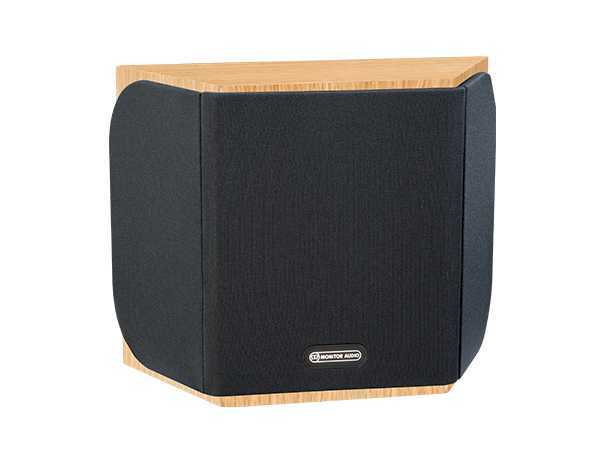 It has a variable crossover frequency control from 40Hz-180Hz, 0-180 phase switch, stereo, LFE RCA inputs, silicone rubber anti-resonance feet and two EQ settings for music or video programme optimisation. 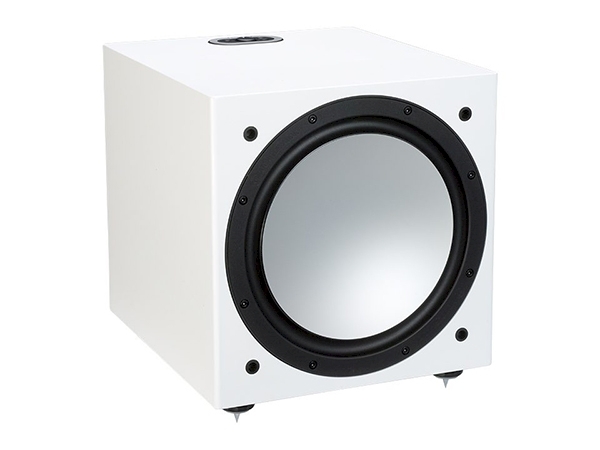 Features:18mm MDF cabinet construction with internal bracing 100W RMS Class A-B amplifier with switching power supply Downward firing 8” Ultra long throw, bass driver. 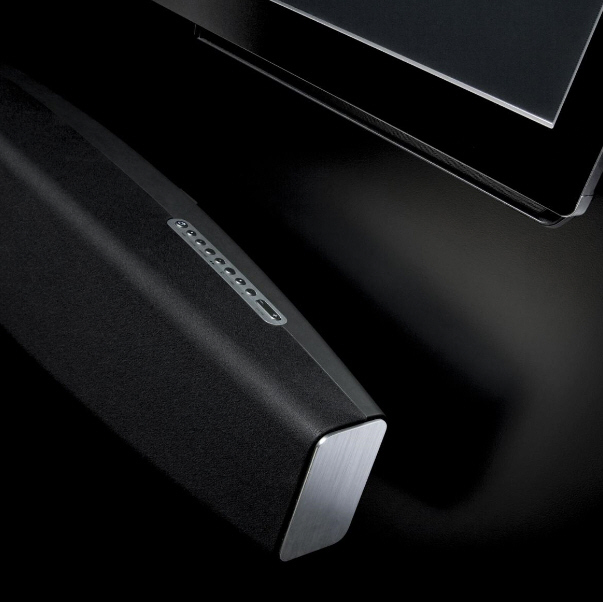 Crossover/ frequency control. 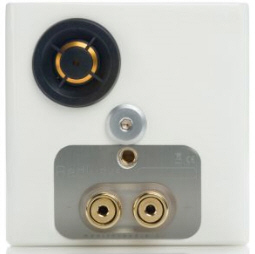 Variable from 40z-180Hz 0-180 Phase switch Stereo/ LFE RCA inputs Silicone rubber anti-resonance feet 2 x Pre-set EQ settings – for Music or video programme optimisation. 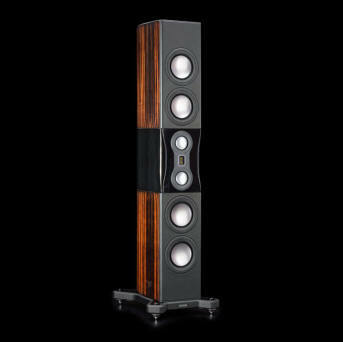 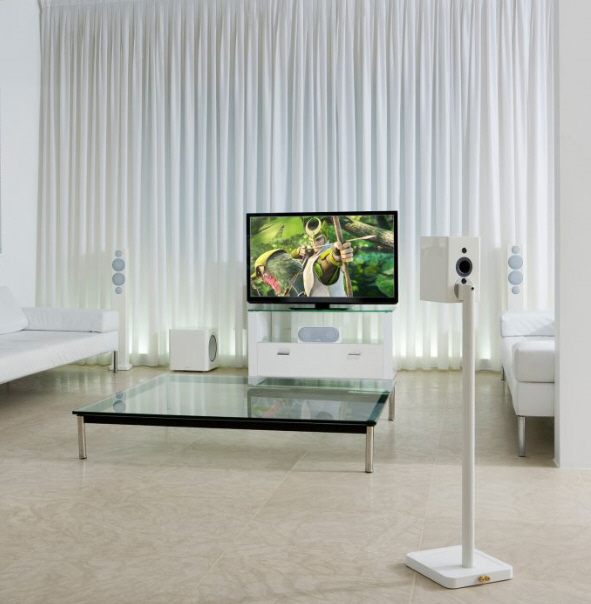 We invest as much care, expertise and research in the smallest loudspeaker as we do in the grandest. 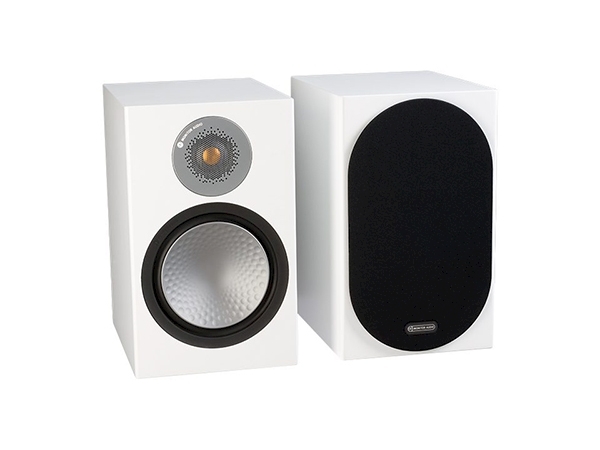 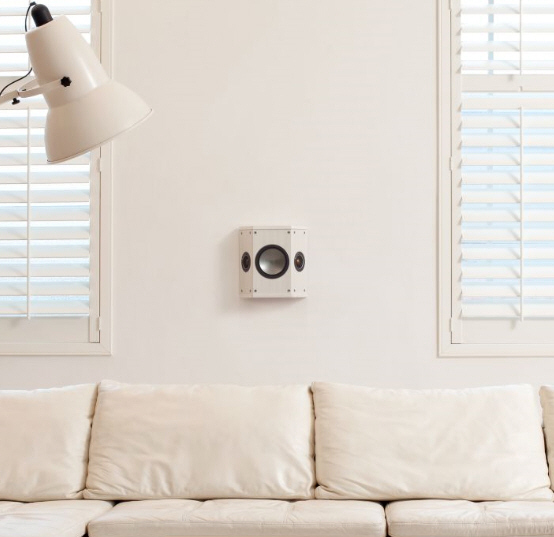 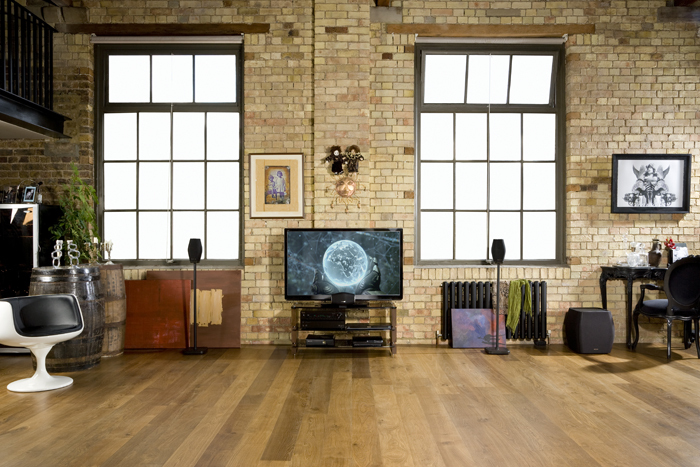 Irrespective of architecture or interior design, Monitor Audio’s range gives you the freedom to supply high quality sound from a versatile mix of floor, stand, wall and flush-mounted speakers. 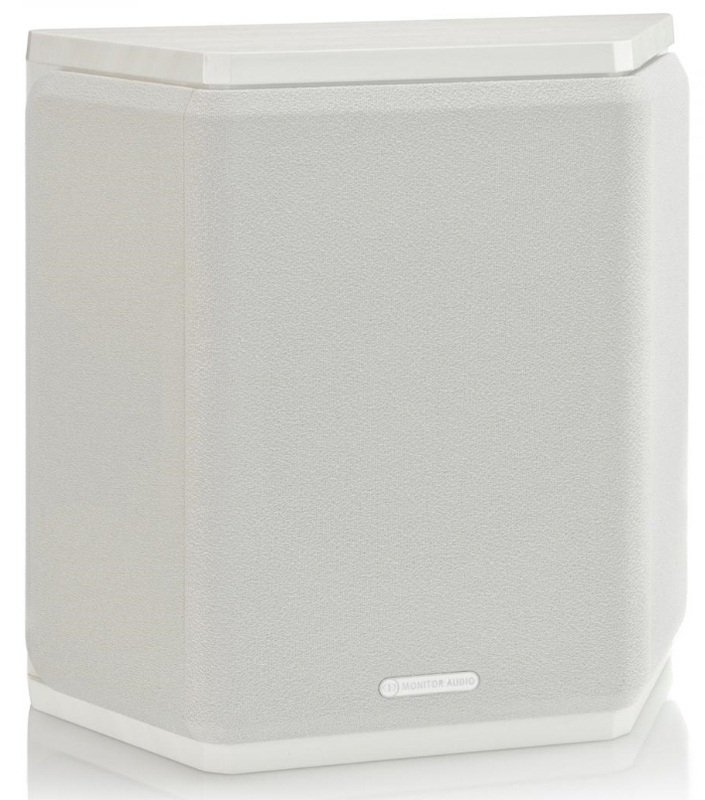 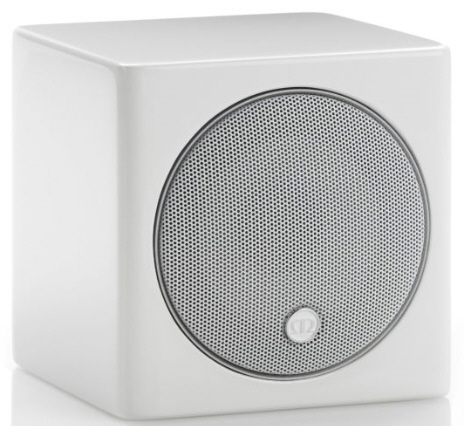 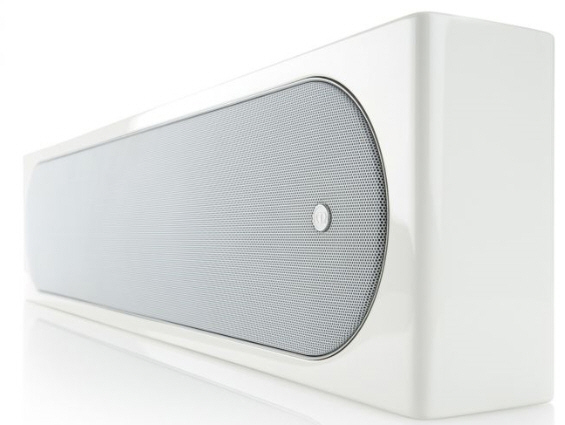 The C165 is a brilliant little in-ceiling speaker which is easy to install and has a clear, dynamic performance worthy of the brand. 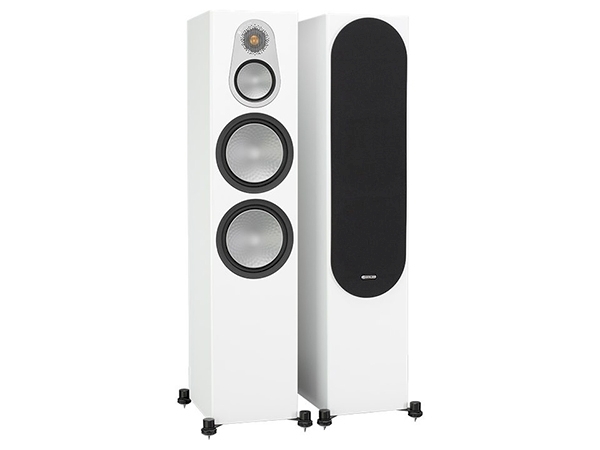 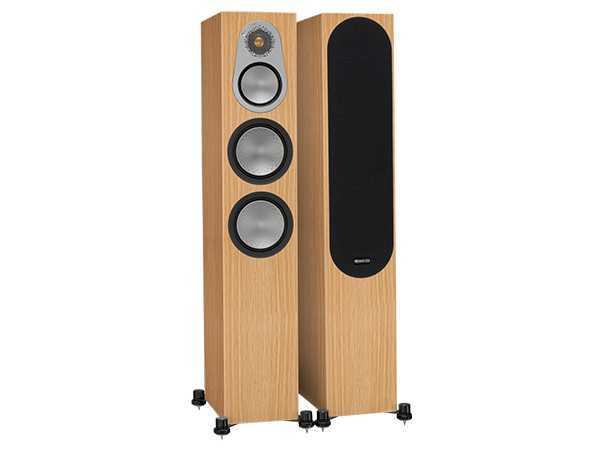 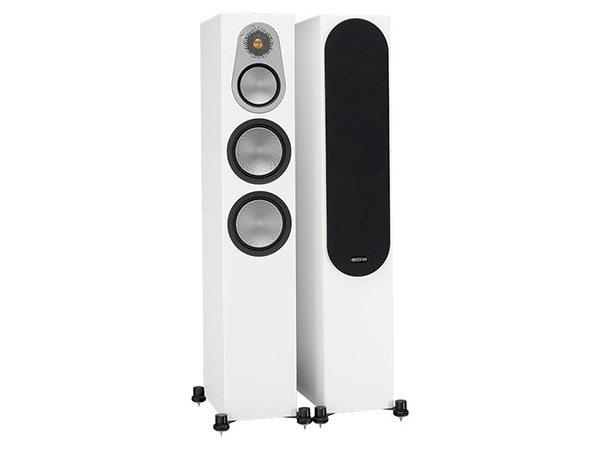 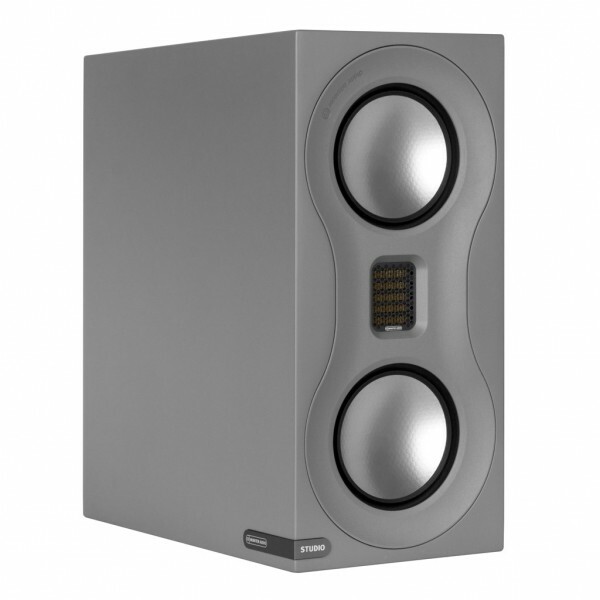 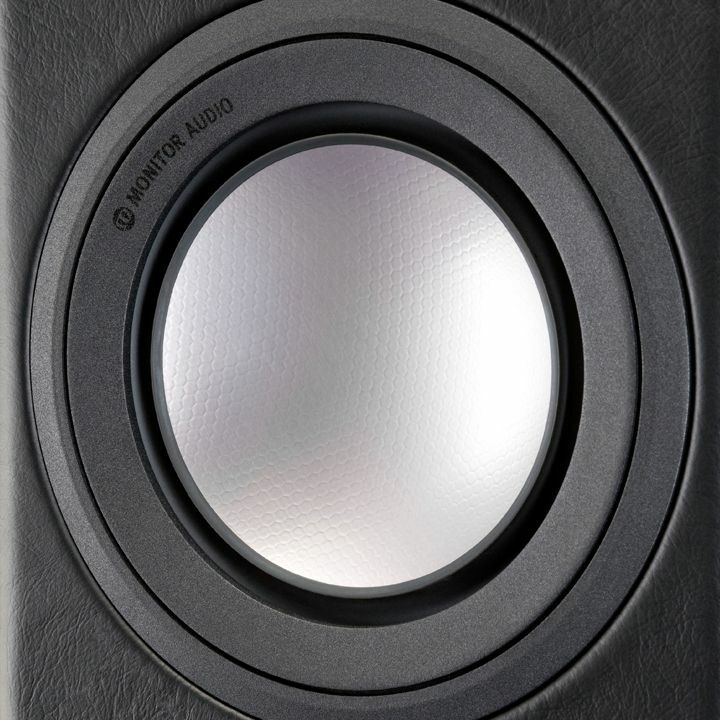 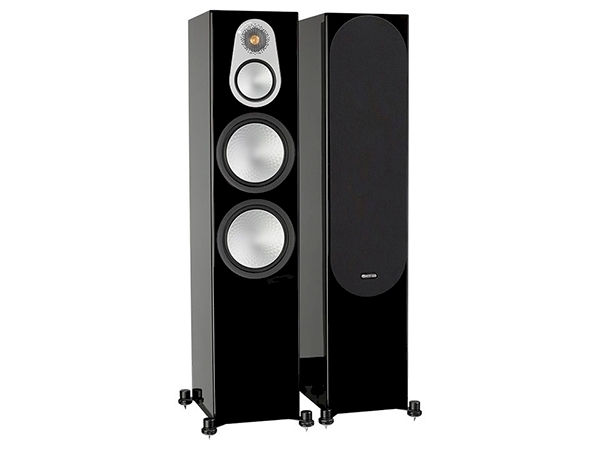 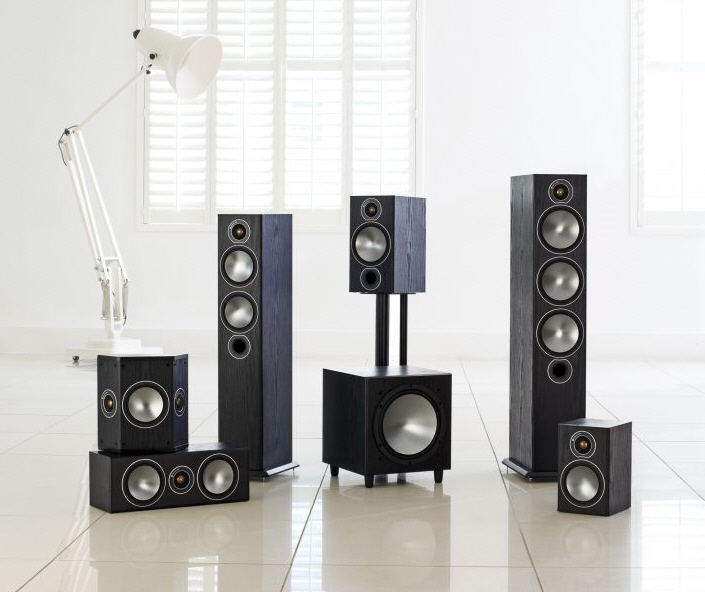 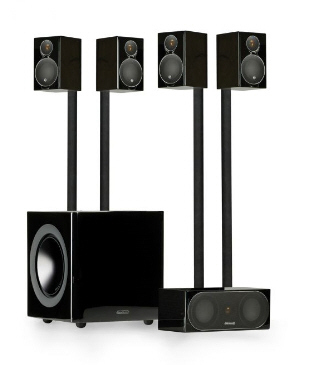 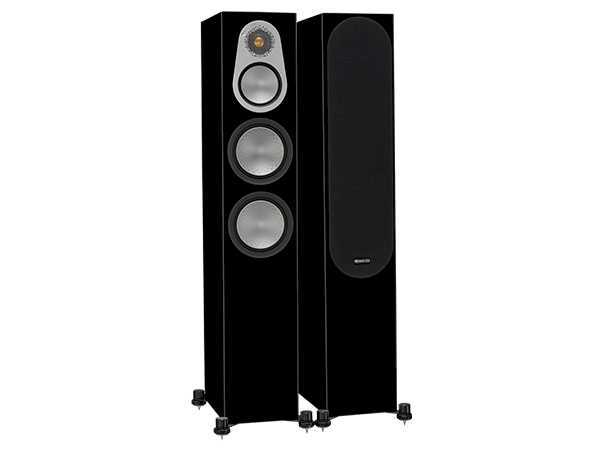 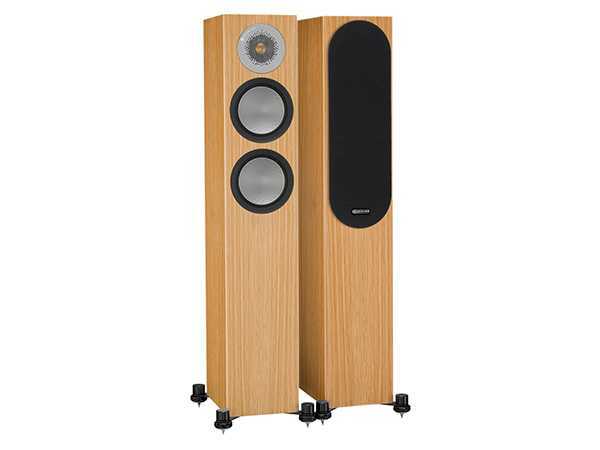 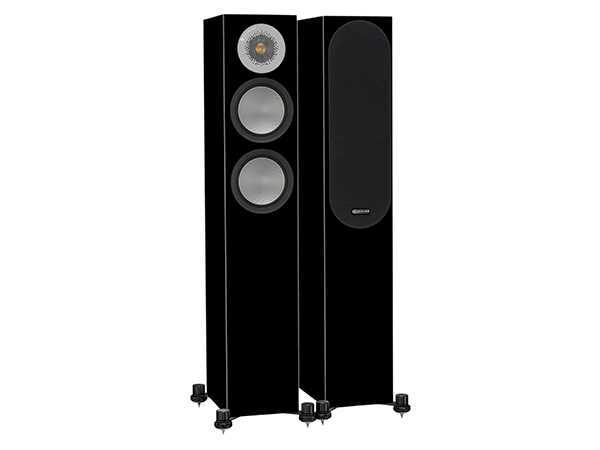 As part of the 100 Series of architectural speakers, it offers the biggest bass driver size of any speaker in its class, providing a convincing full-range sound in a wide range of locations. 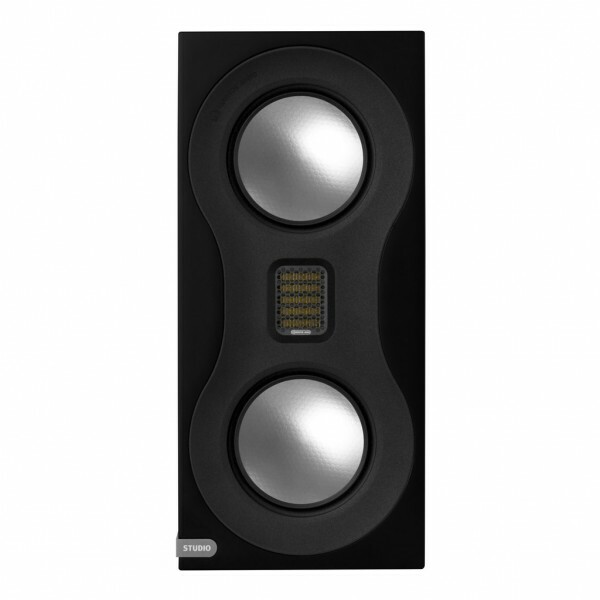 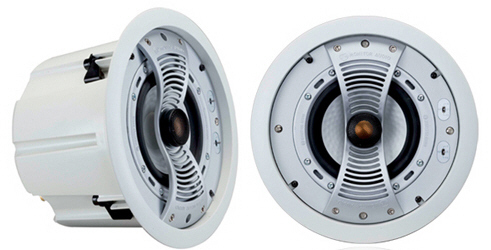 • 2-way design with pivoting C-CAM® tweeters (15 degrees of play). 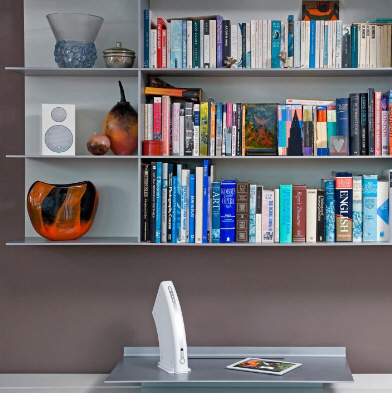 • High overall efficiency. 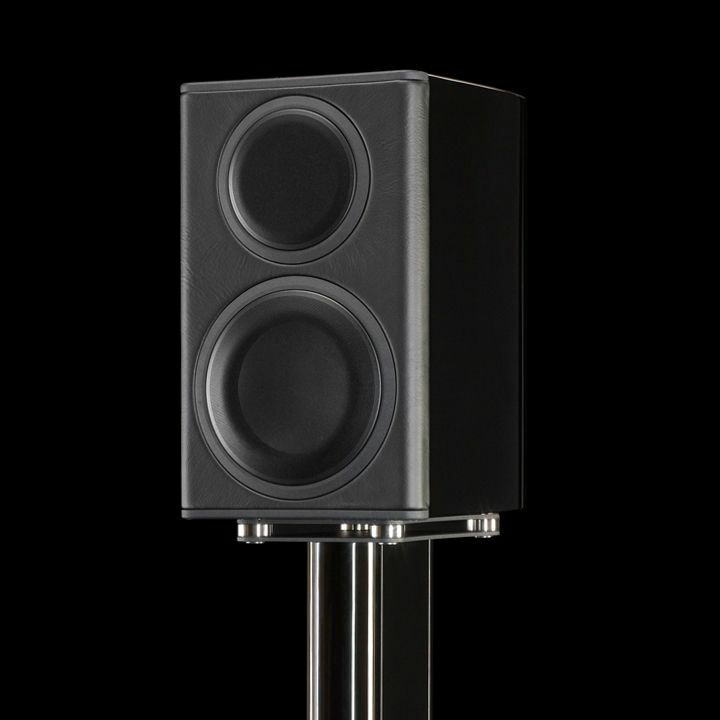 • High frequency level adjustment (3dB). 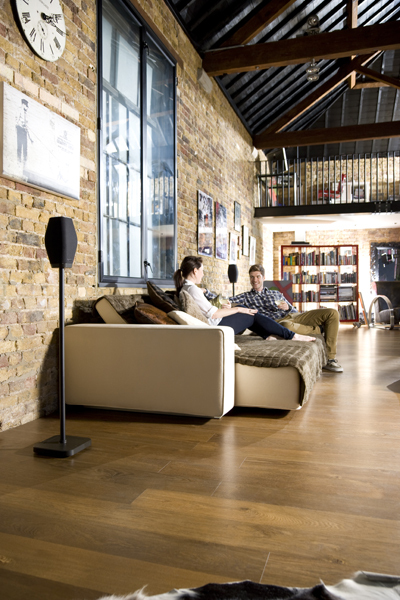 • Audio match with BR-CP, Radius-CP, Climate 10 and Bronze BR and Radius Series hi-fi speakers. 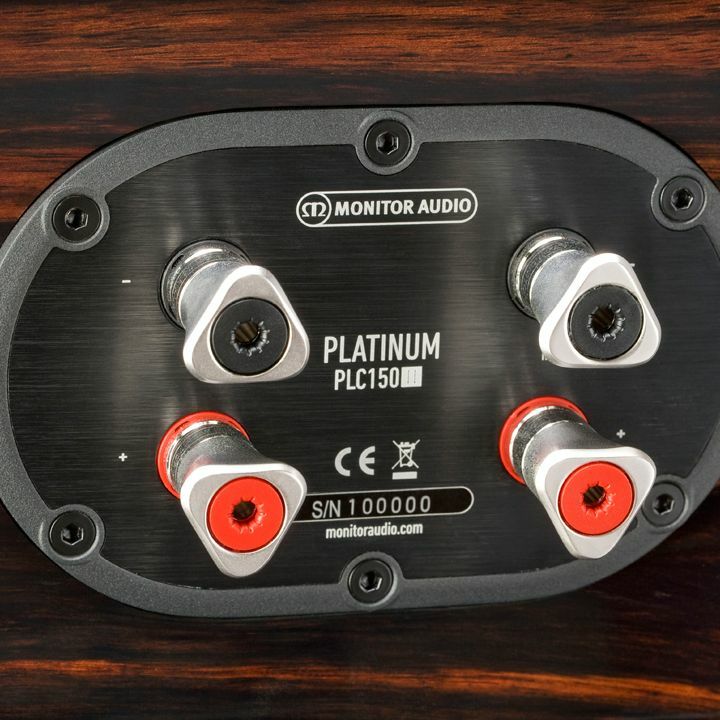 • Our innovative Tri-Grip fixing system is easier to install than conventional clamping schemes but provides three times the surface area and a better surface seal, maximising bass response and mid-range clarity. 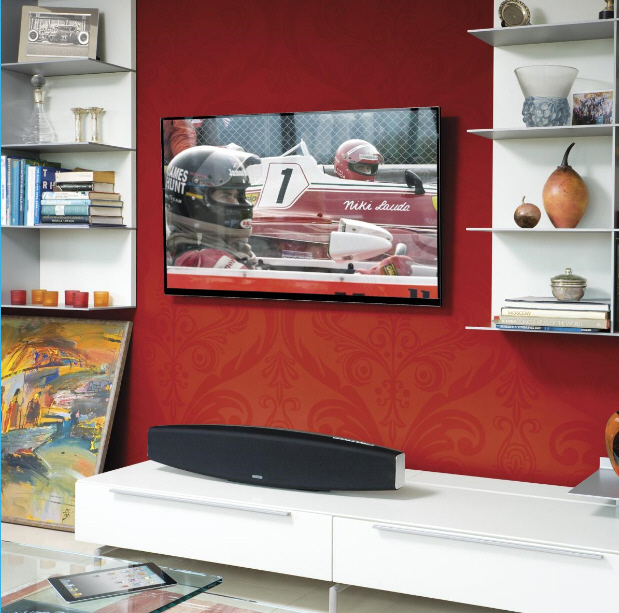 • Aluminium alloy grille for rust-free performance and longevity. 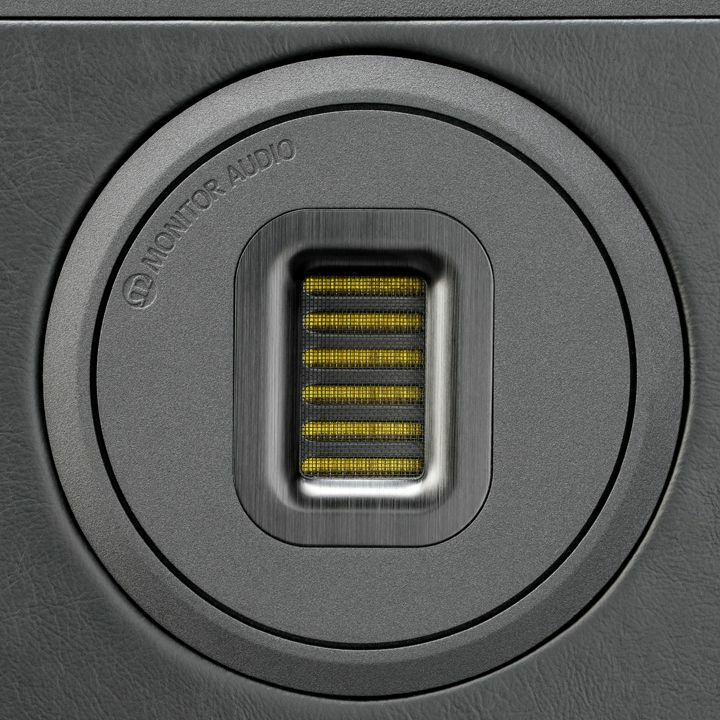 It is non magnetic and lighter in weight. 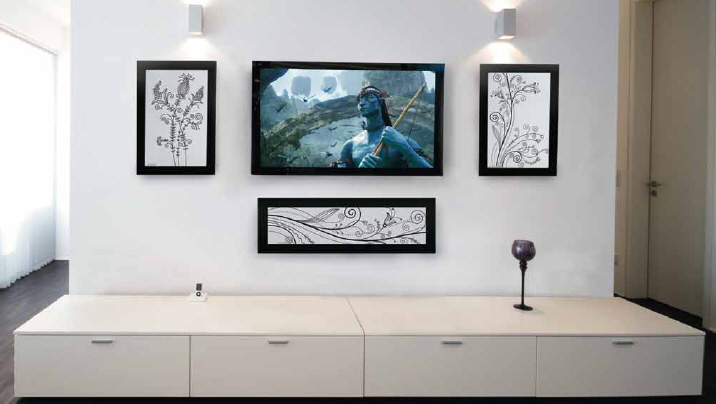 • Paint-able surface to blend with the living environment. 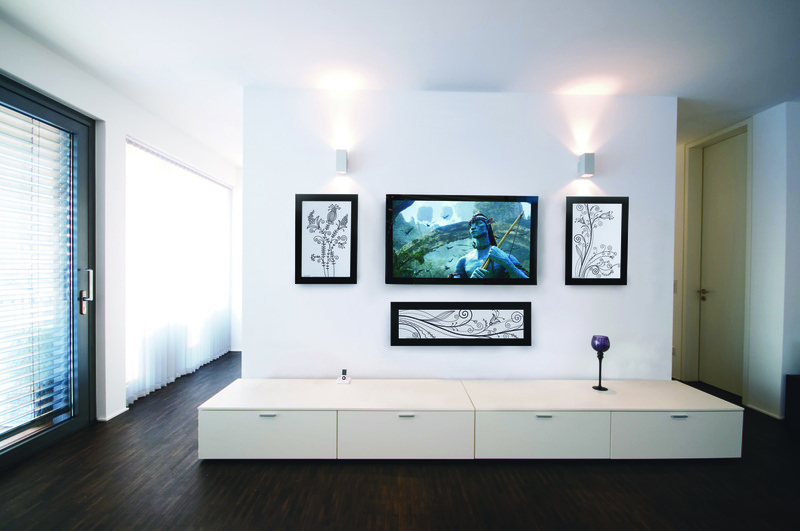 A paint mask and additional scrim material are provided for trouble free painting. 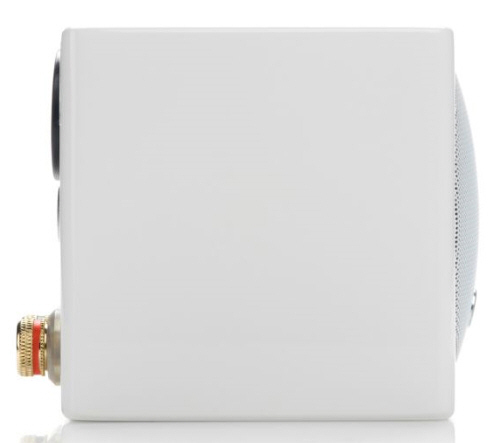 • Fire retardant to UL-94 VO rating. 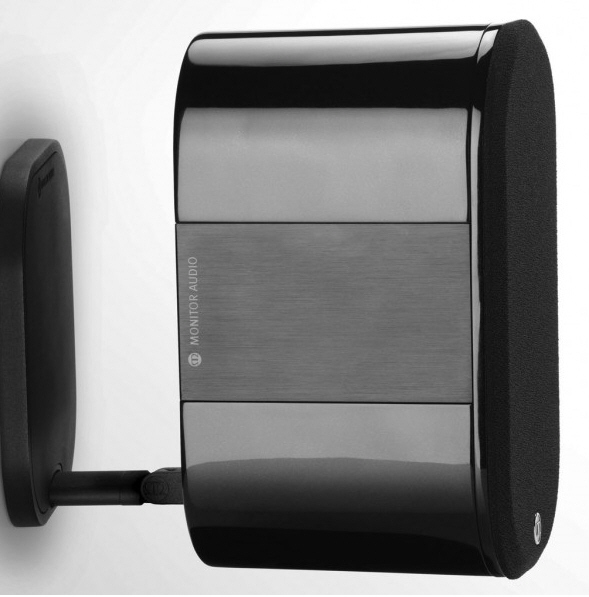 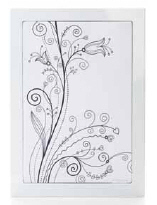 • Splash and humidity proof for installation in shower room or pool areas. 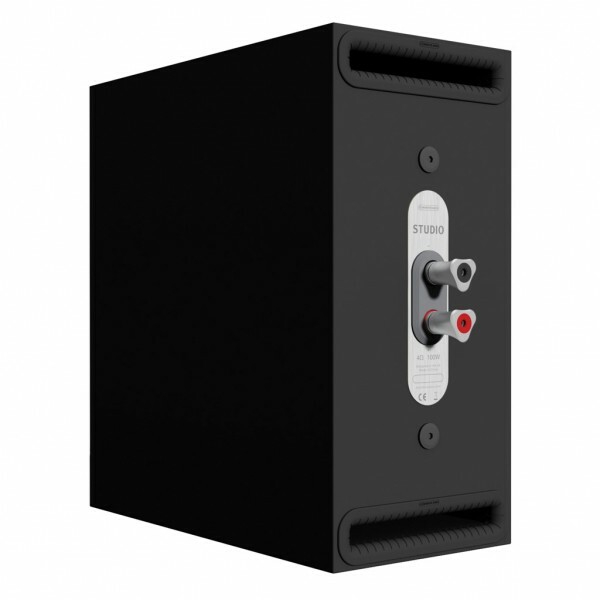 • Features dust protection cover that is designed to prevent the ingress of dirt or dust into the driver and crossover.